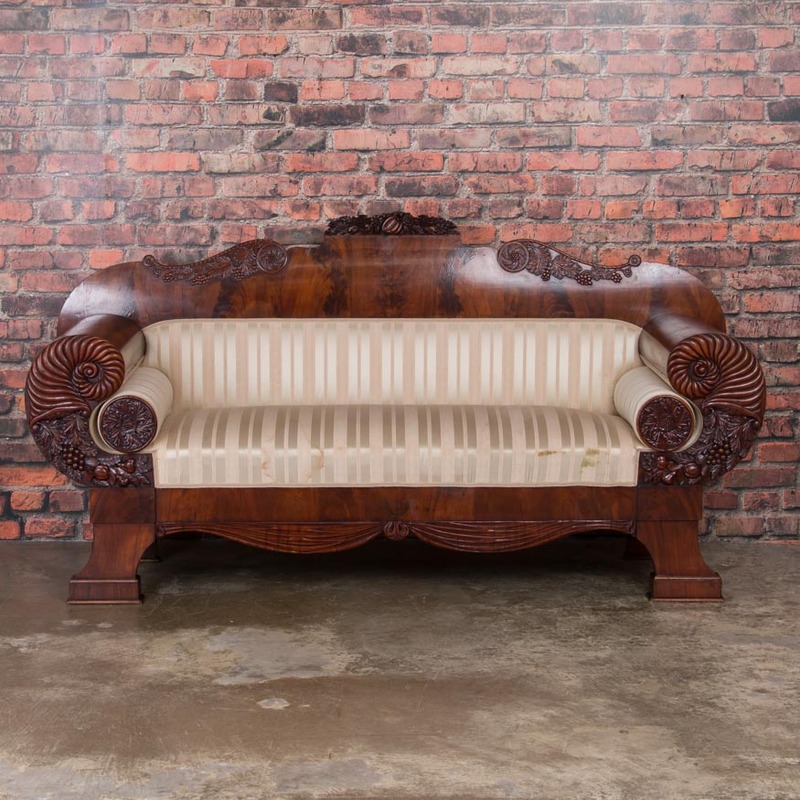 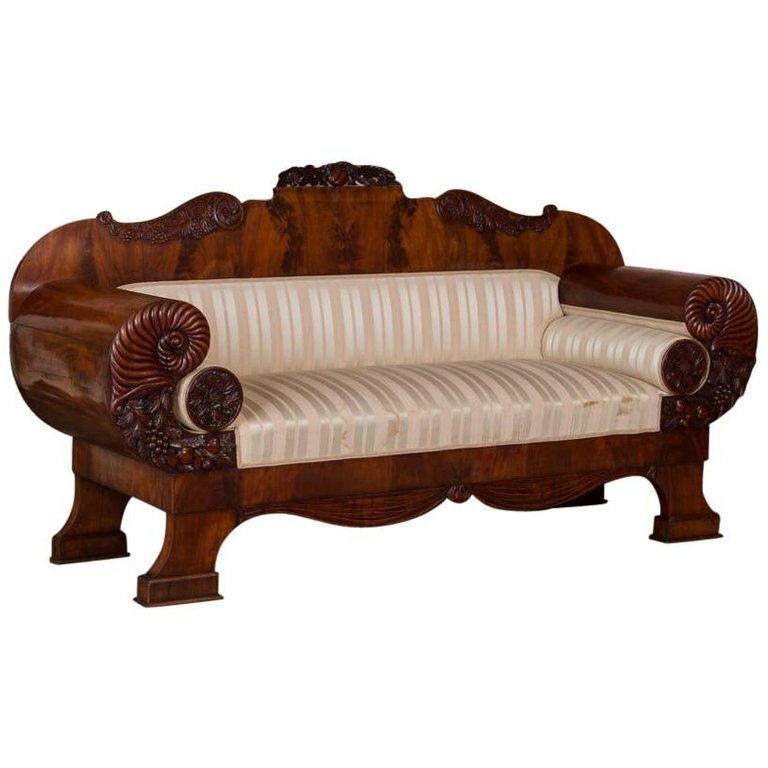 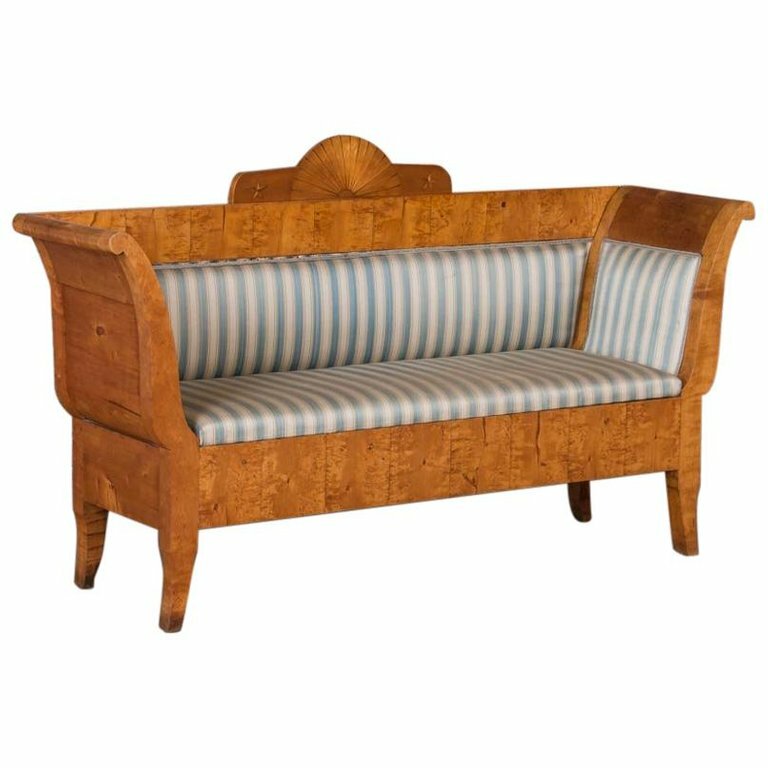 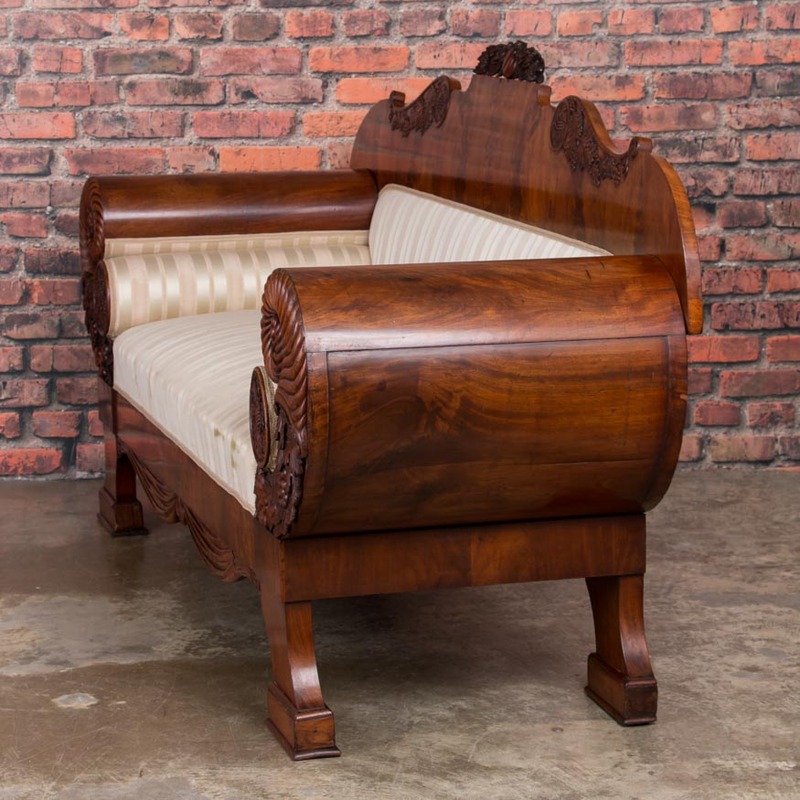 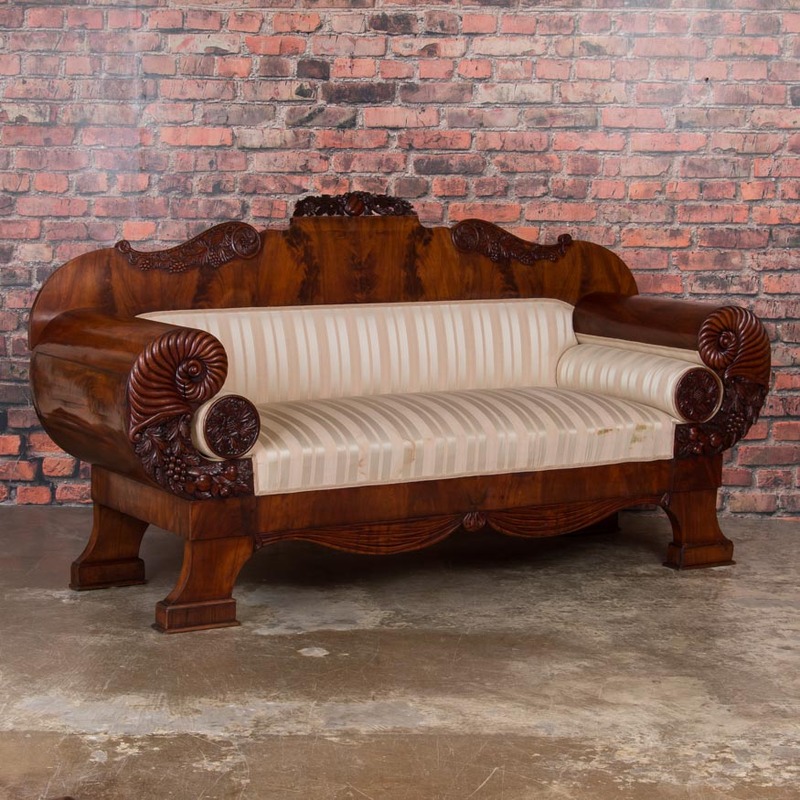 Antique Karl Johan birch bench sofa from Sweden, circa 1840 with upholstered seat and sides and applied carving on the back and arms. 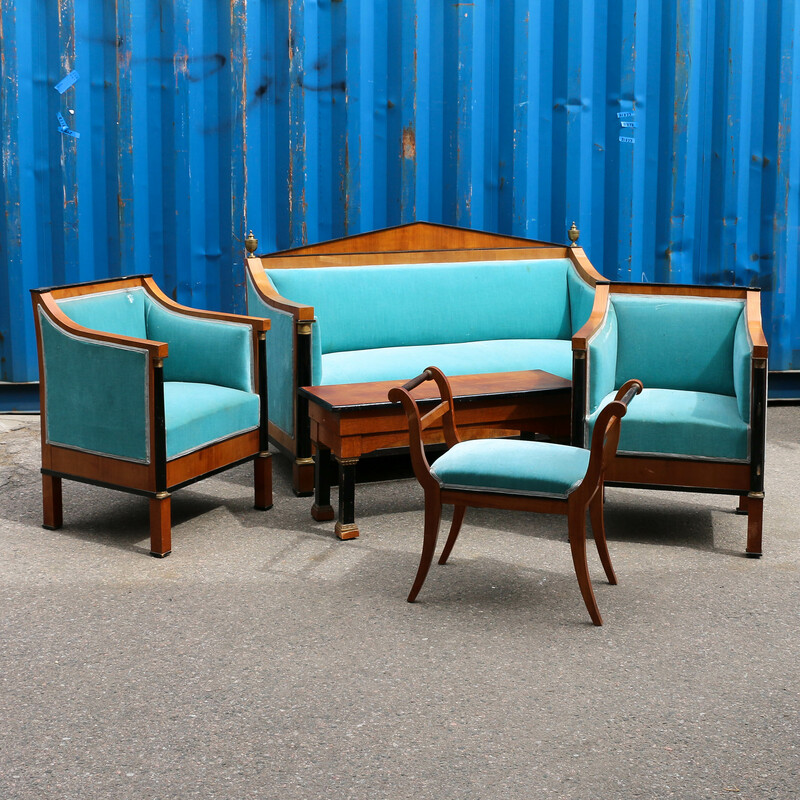 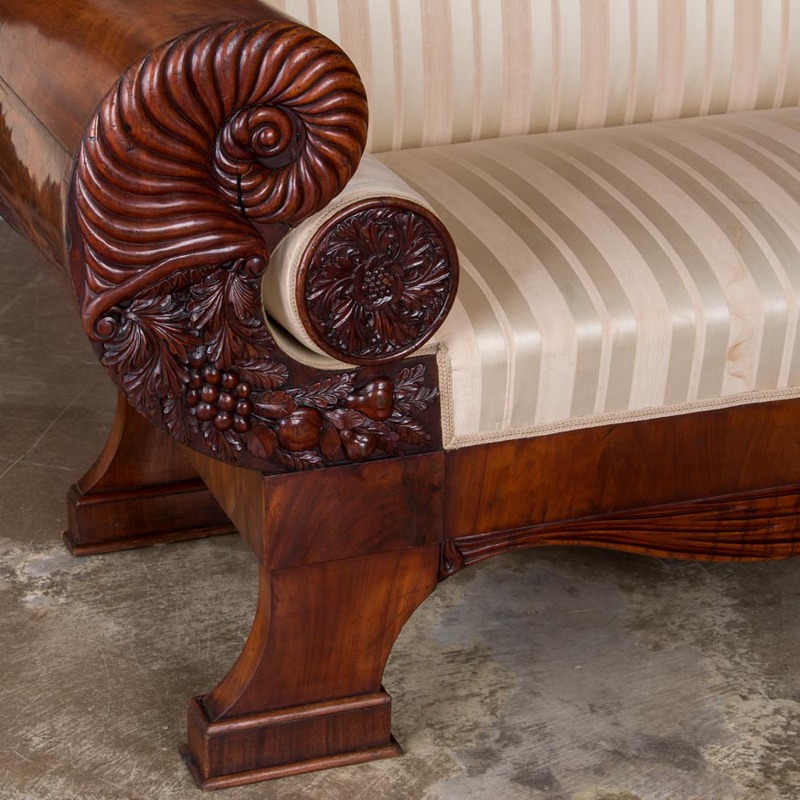 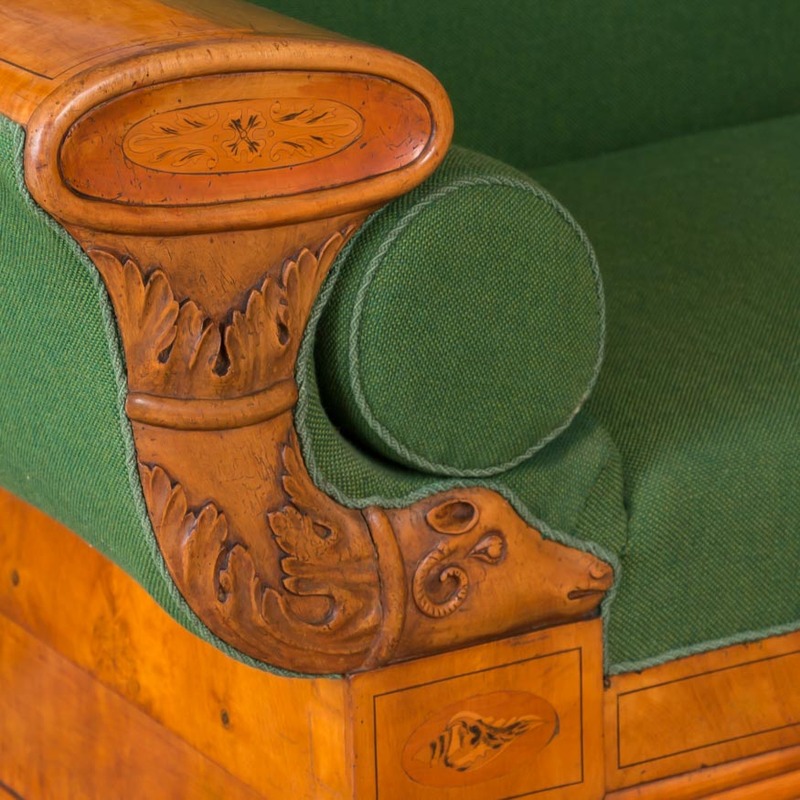 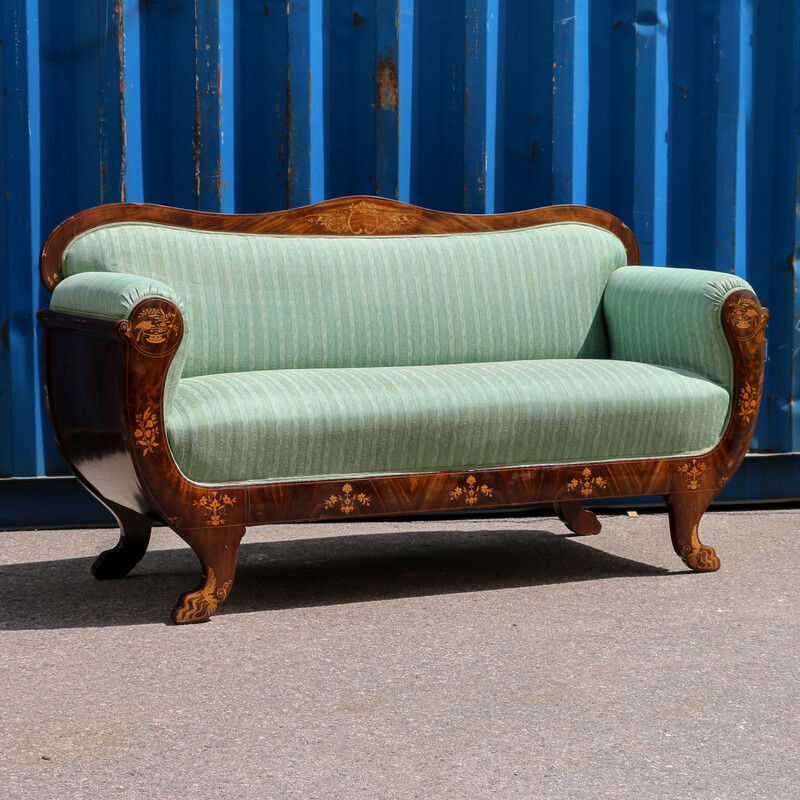 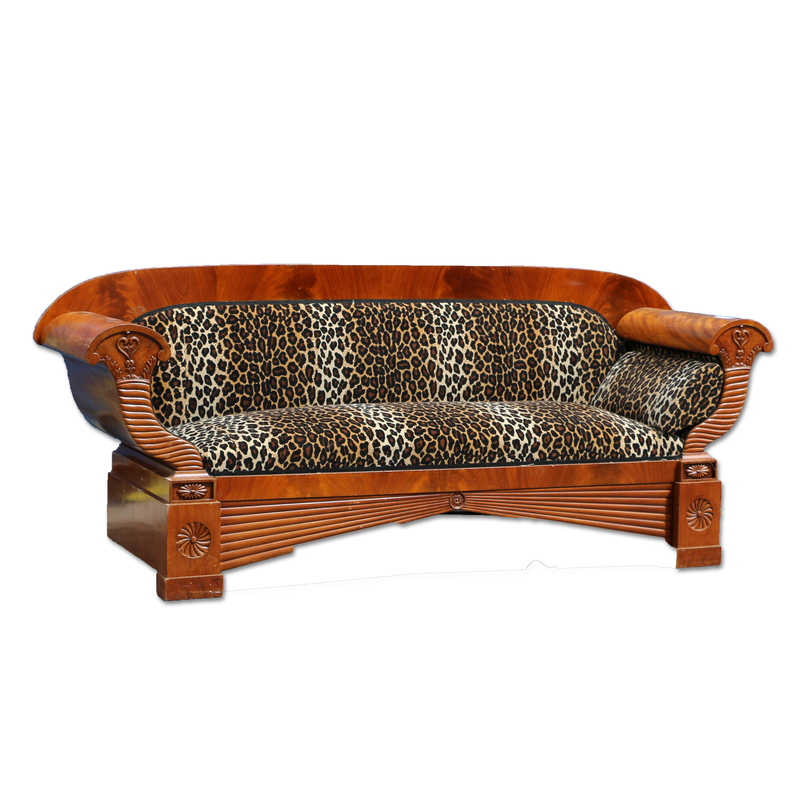 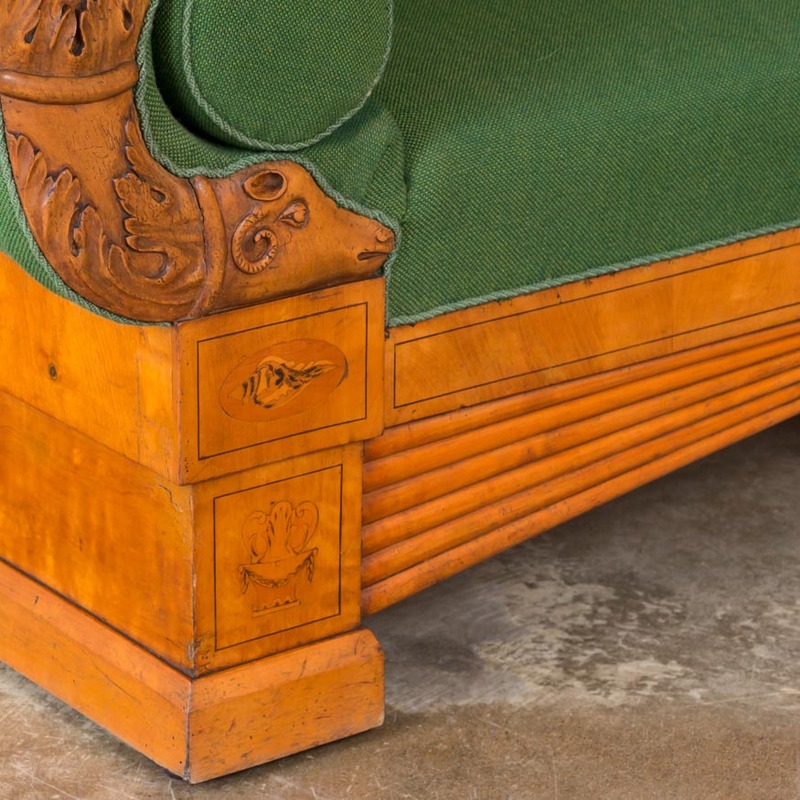 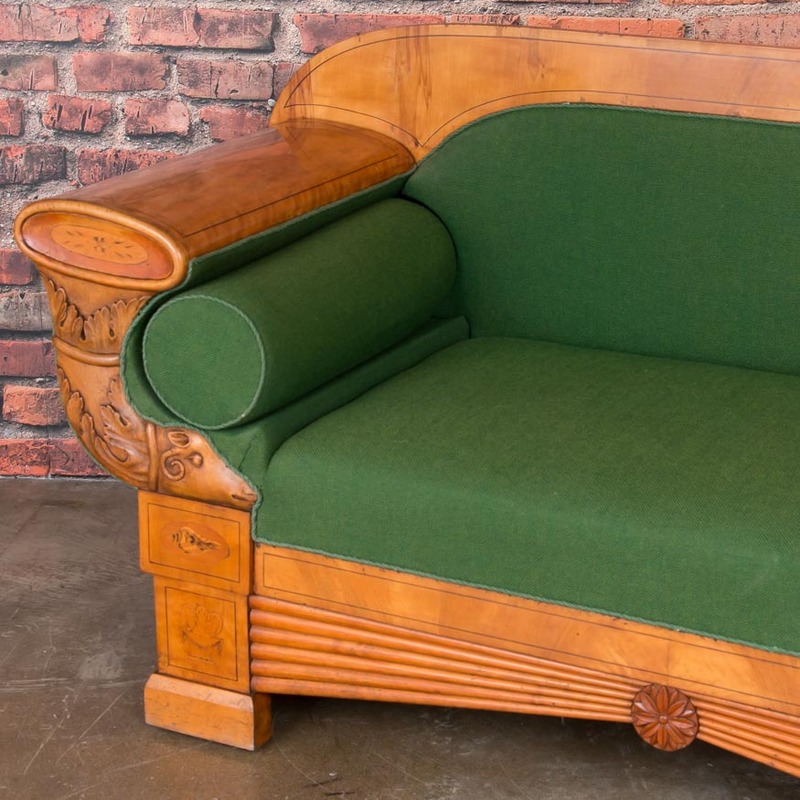 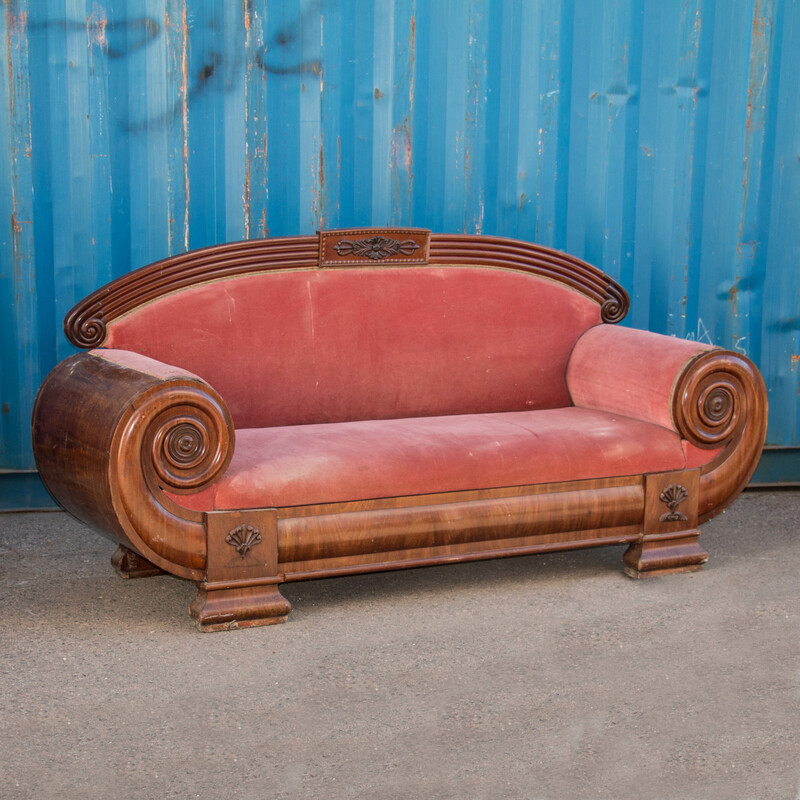 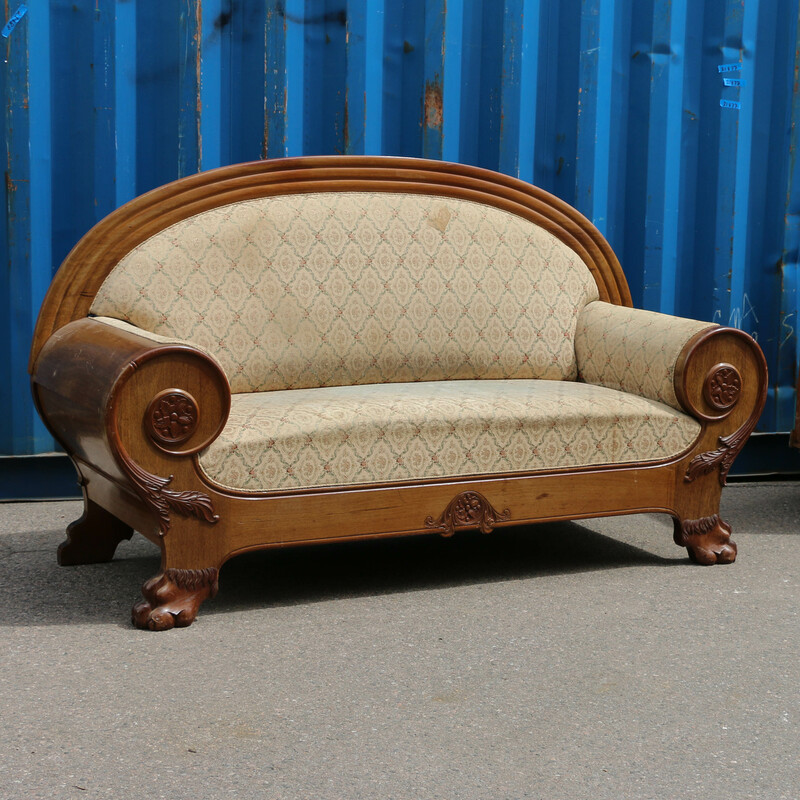 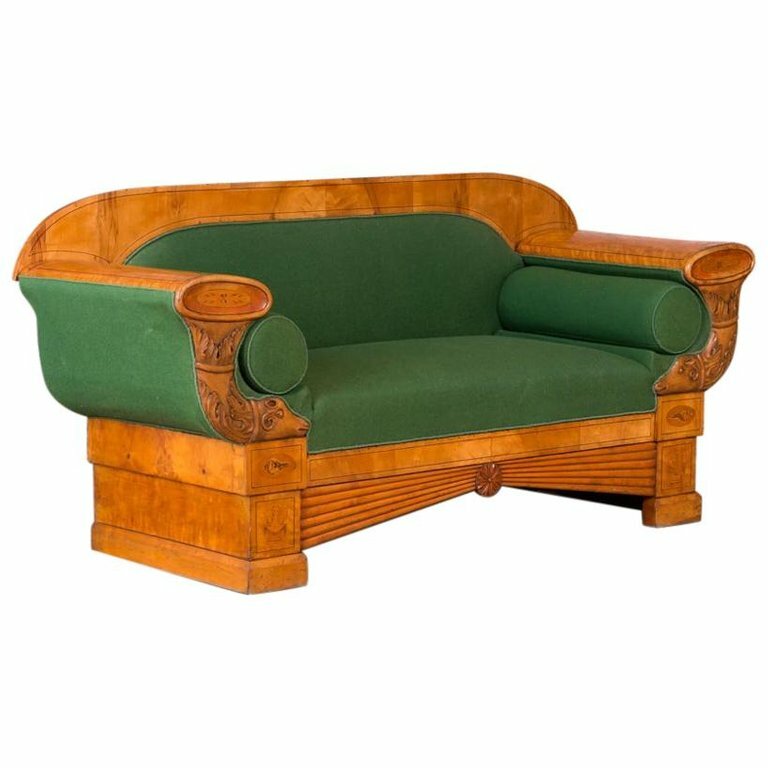 Carved and Upholstered Antique Danish birch Biedermeier Sofa, circa 1830, features fine inlay, carved ram's head cornucopia, and baluster pillow cushions. 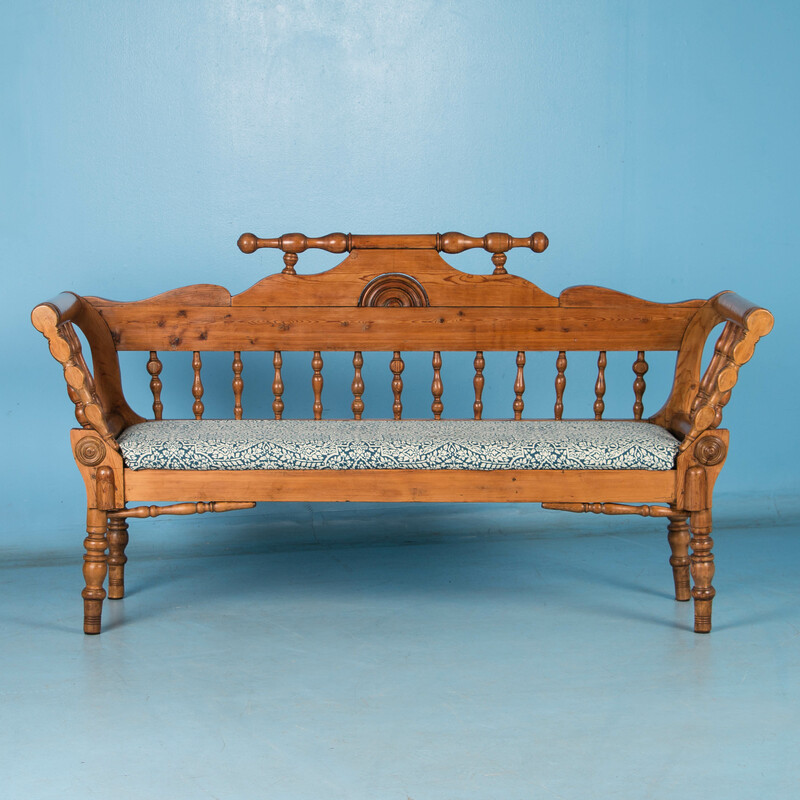 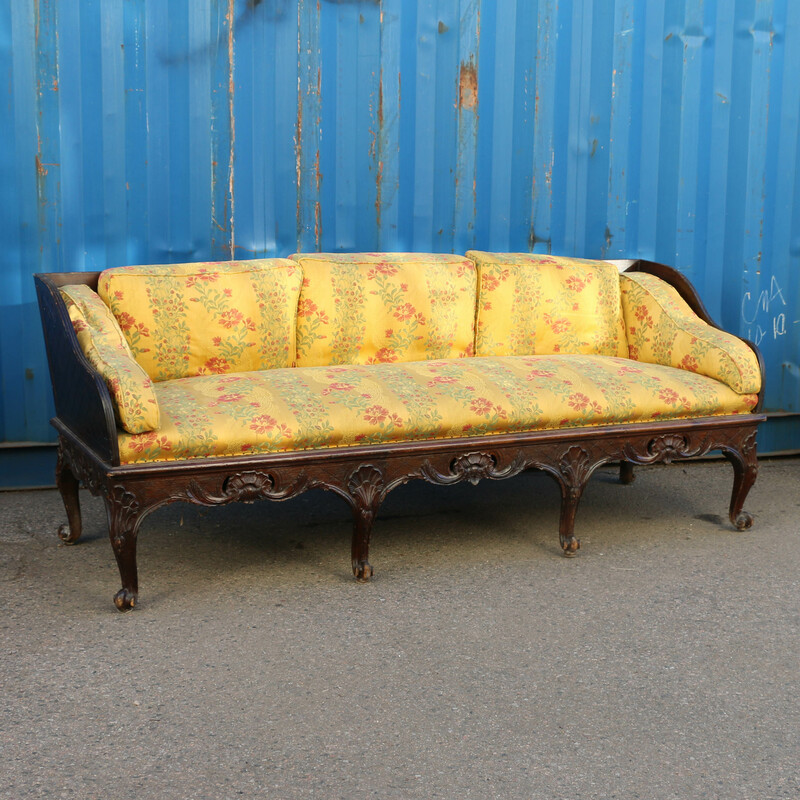 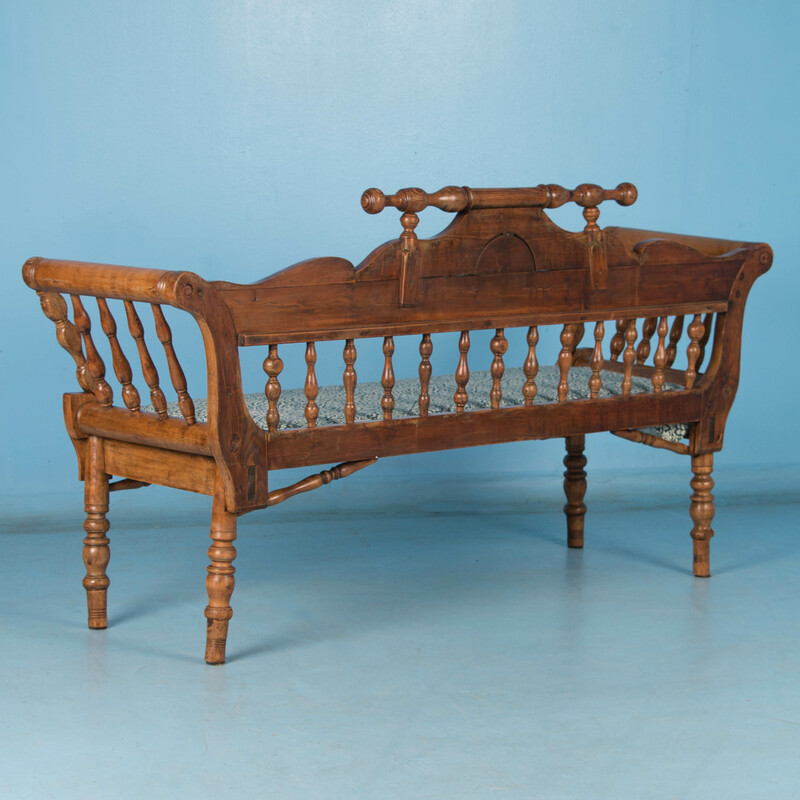 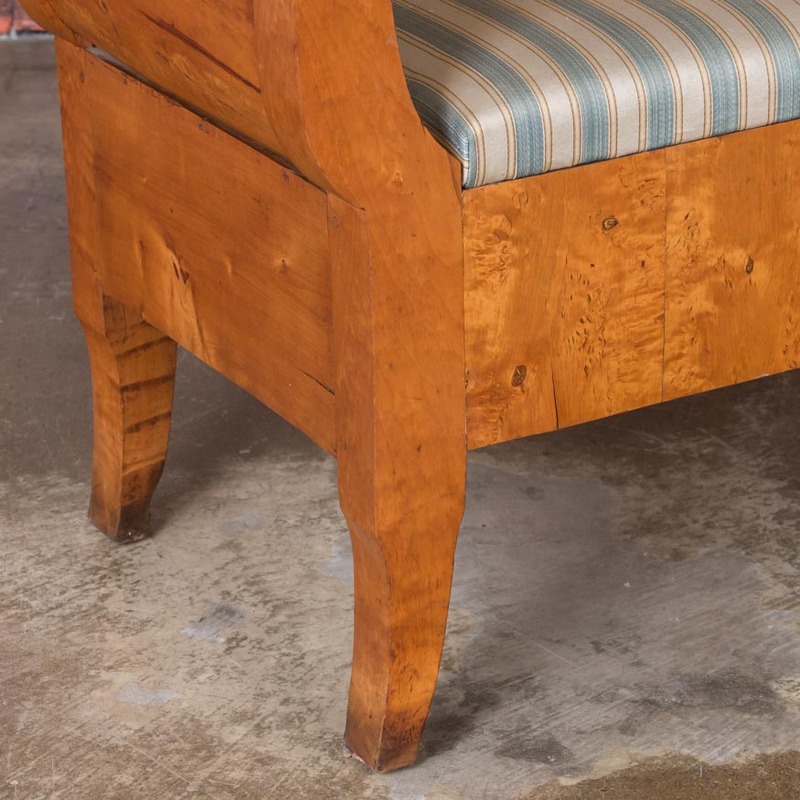 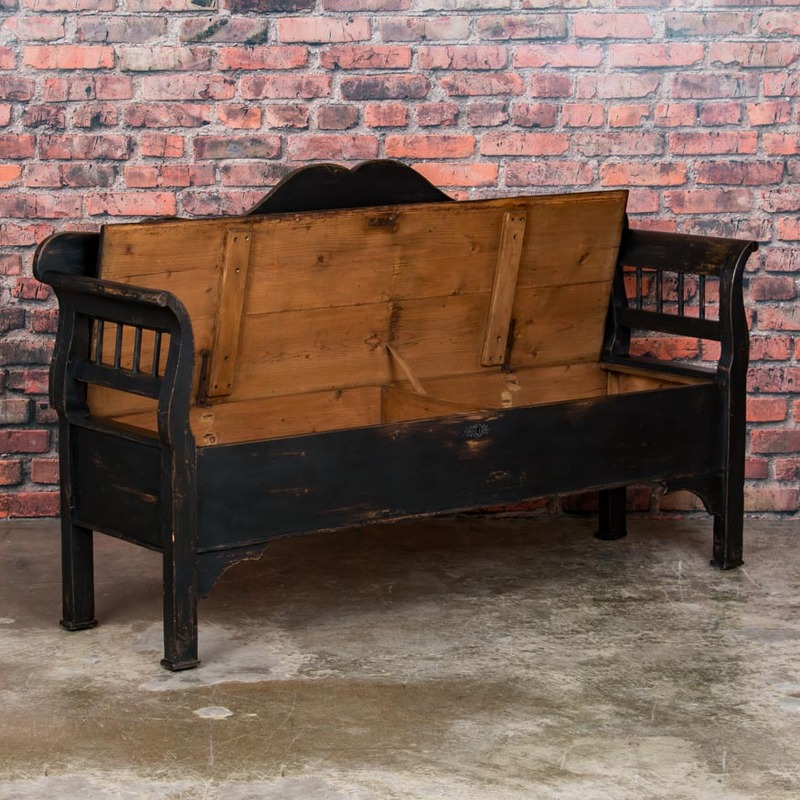 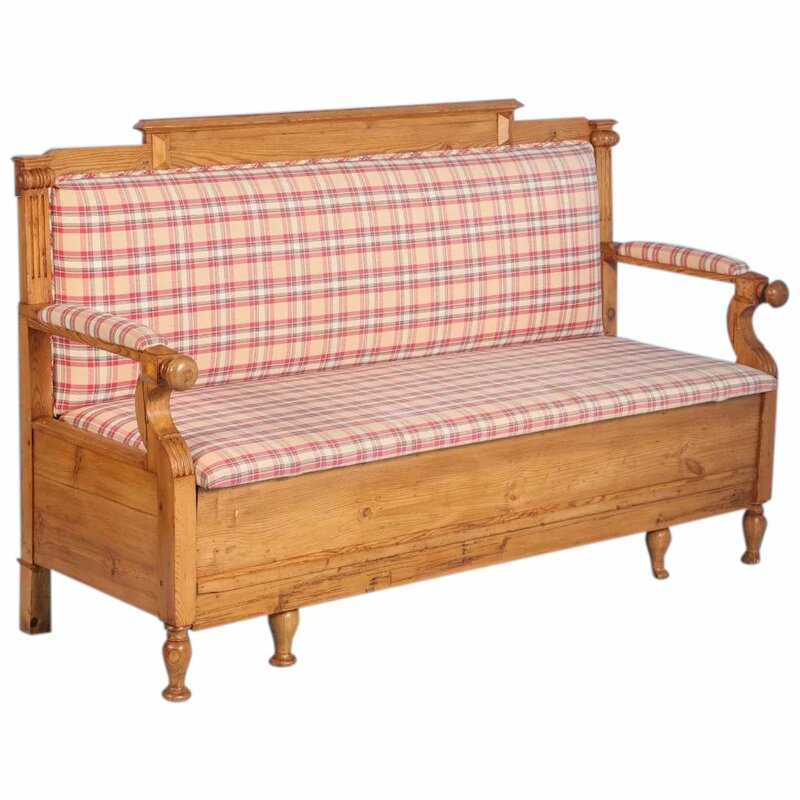 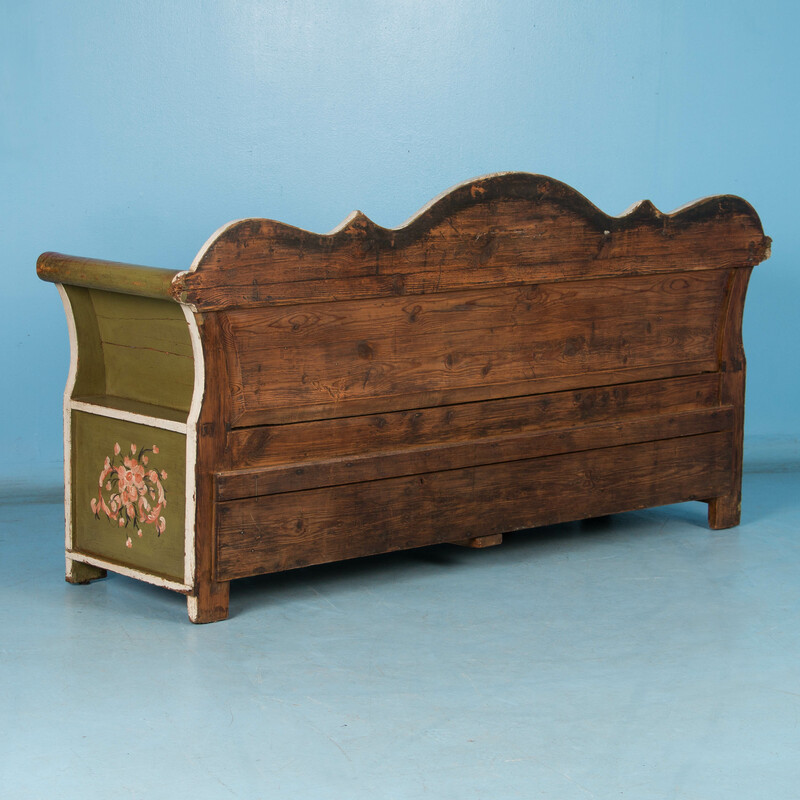 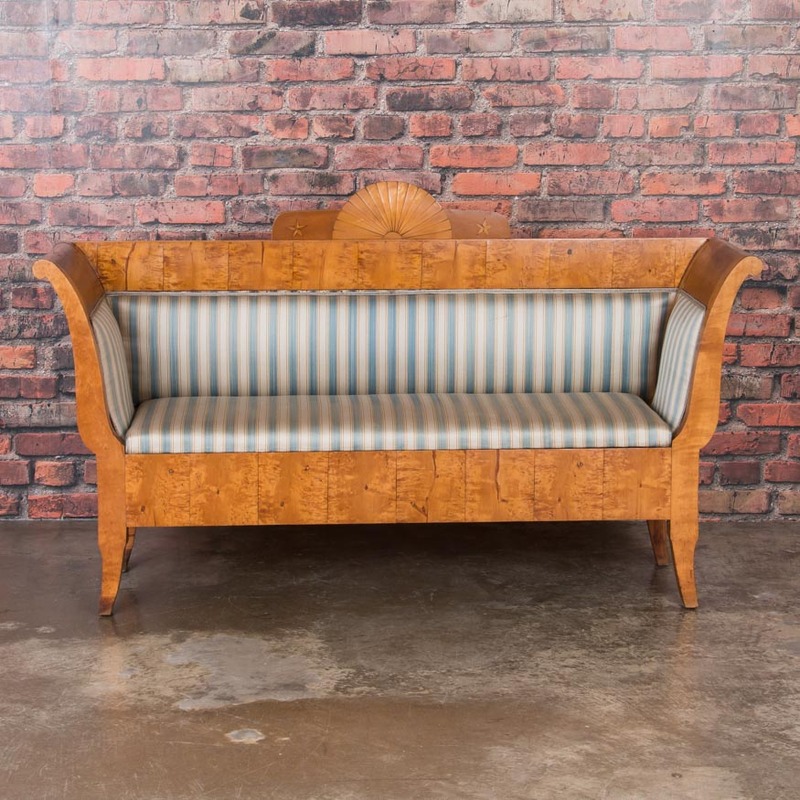 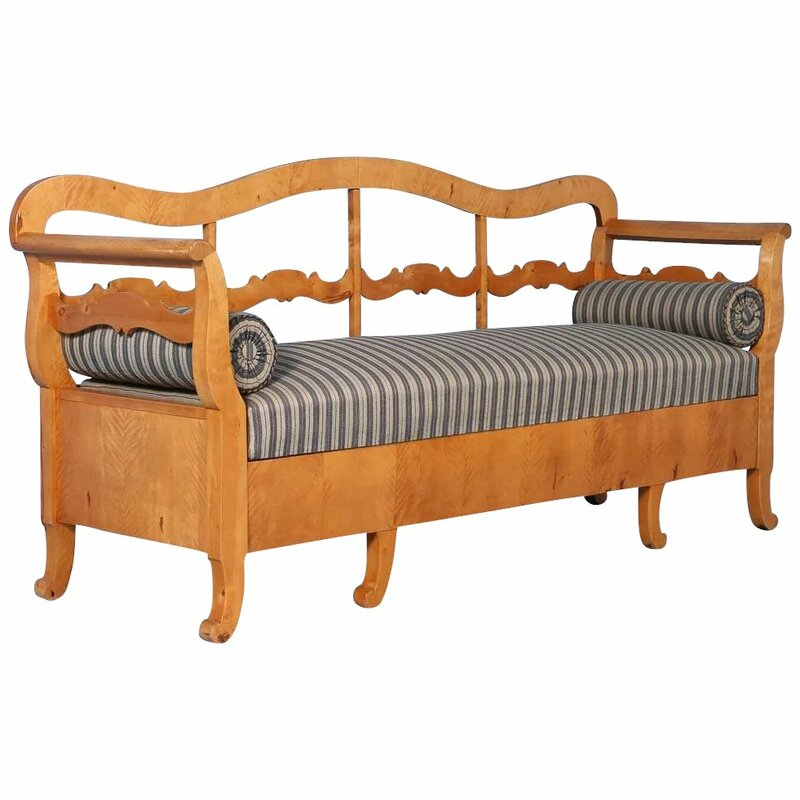 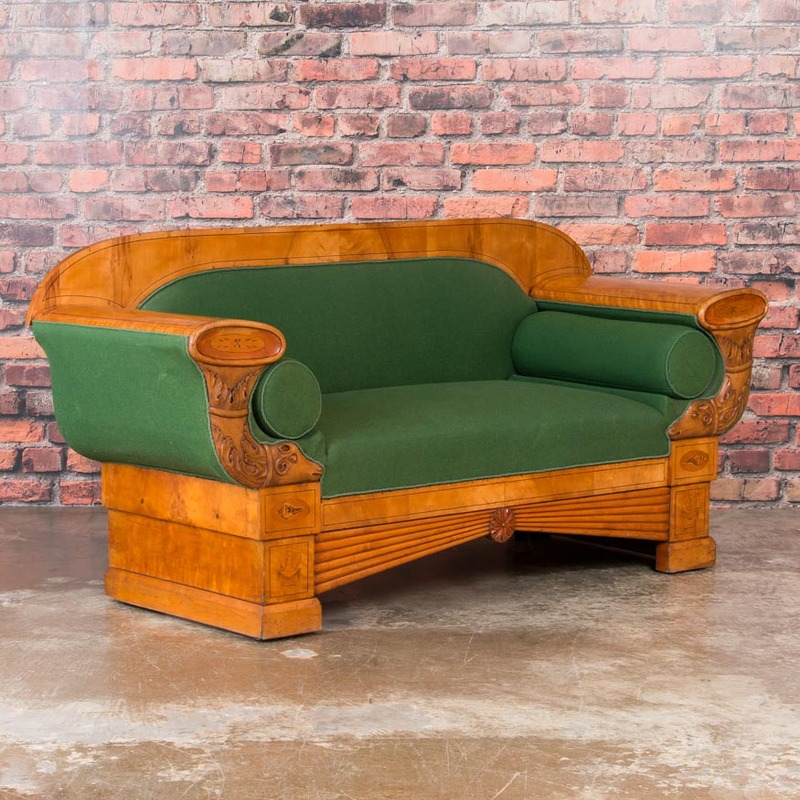 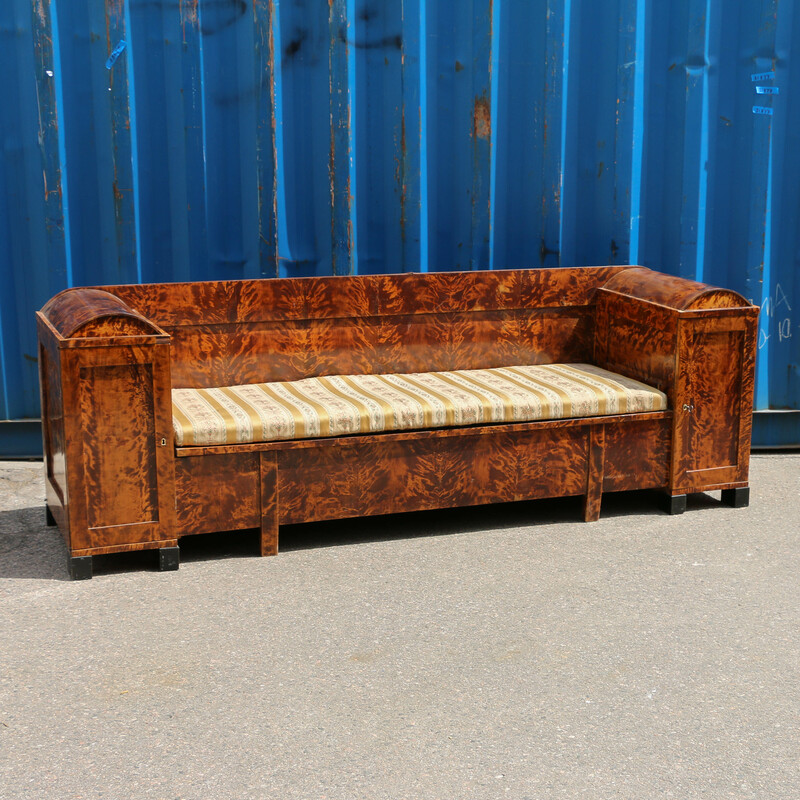 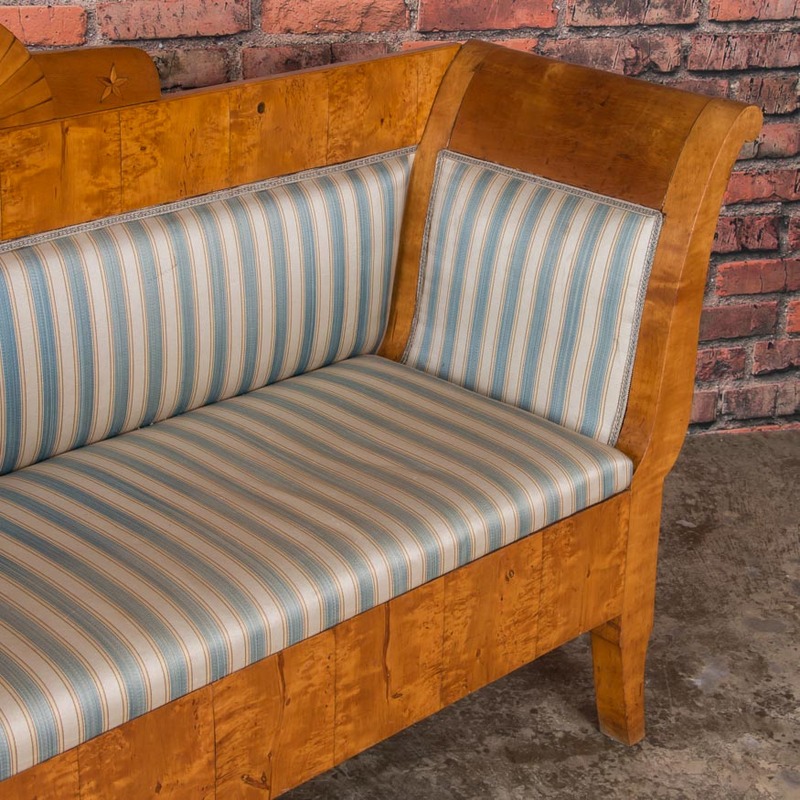 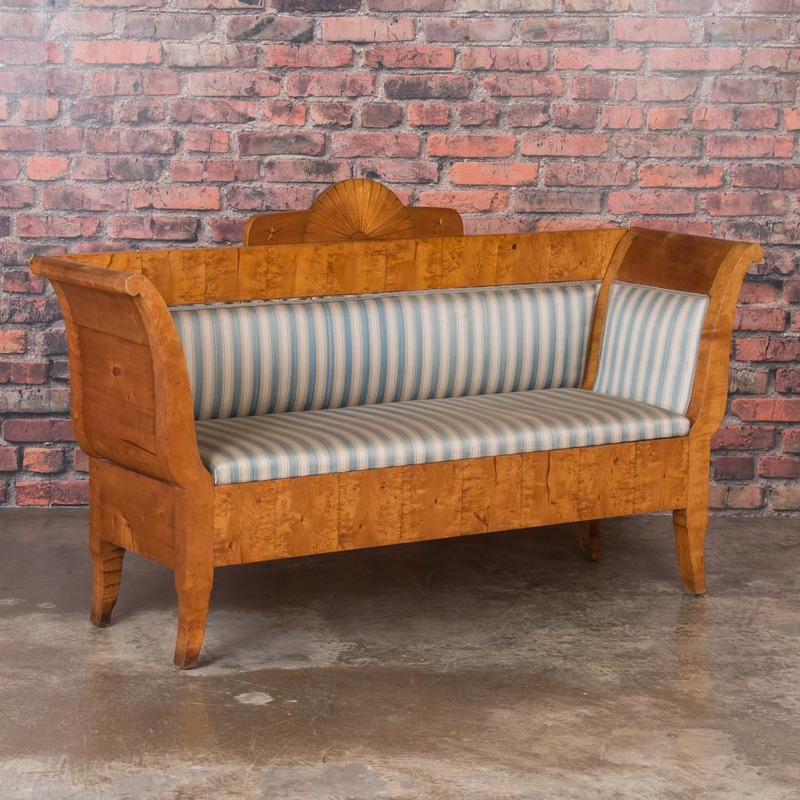 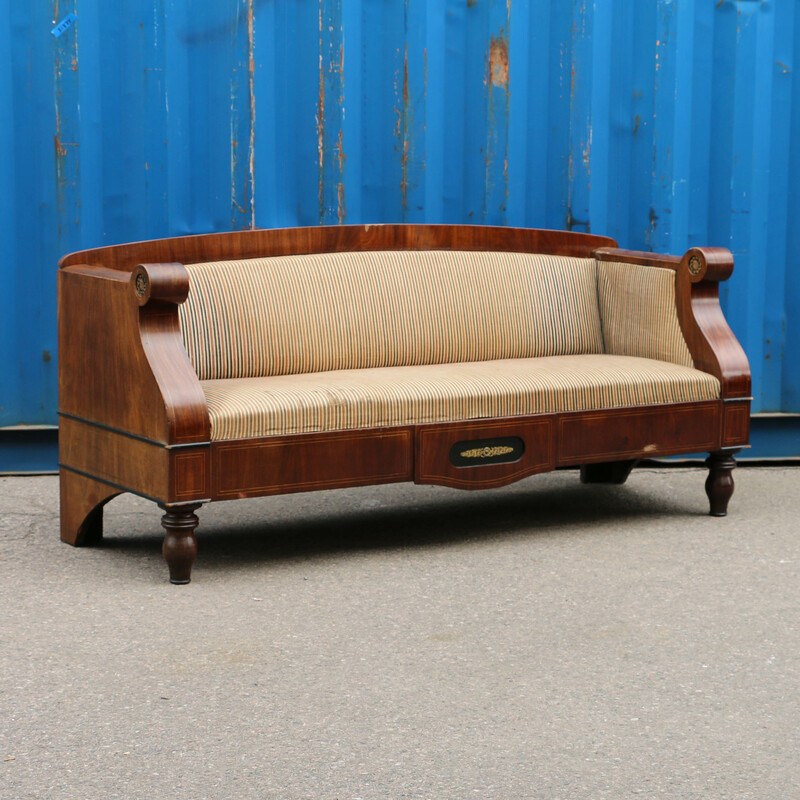 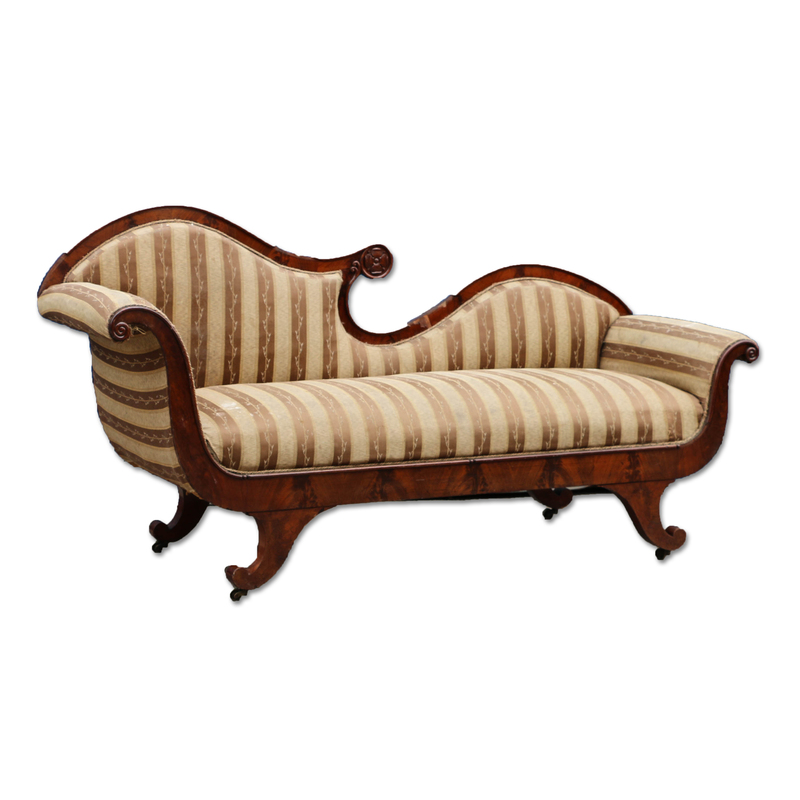 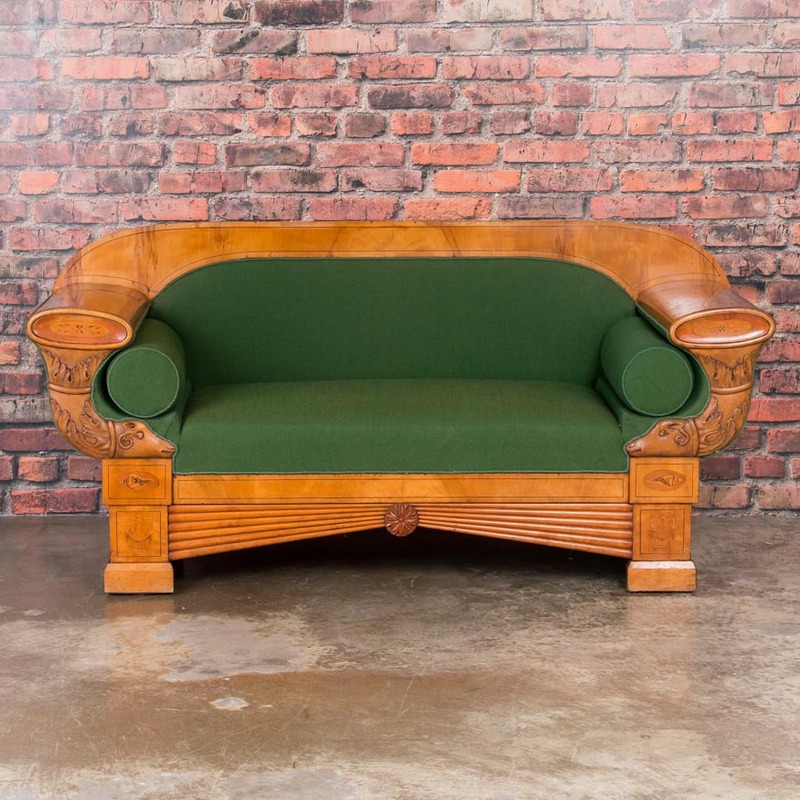 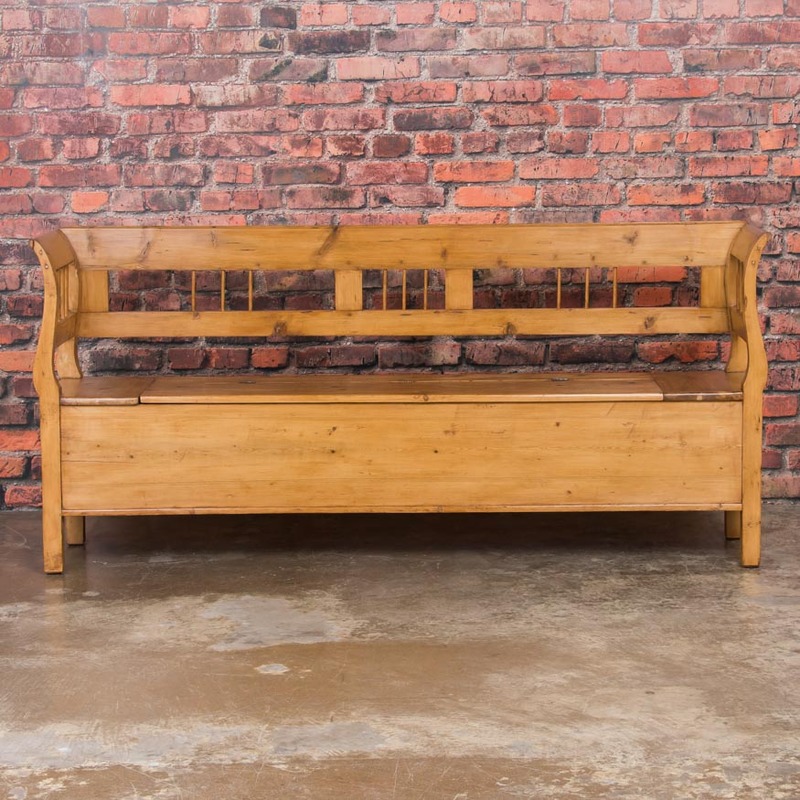 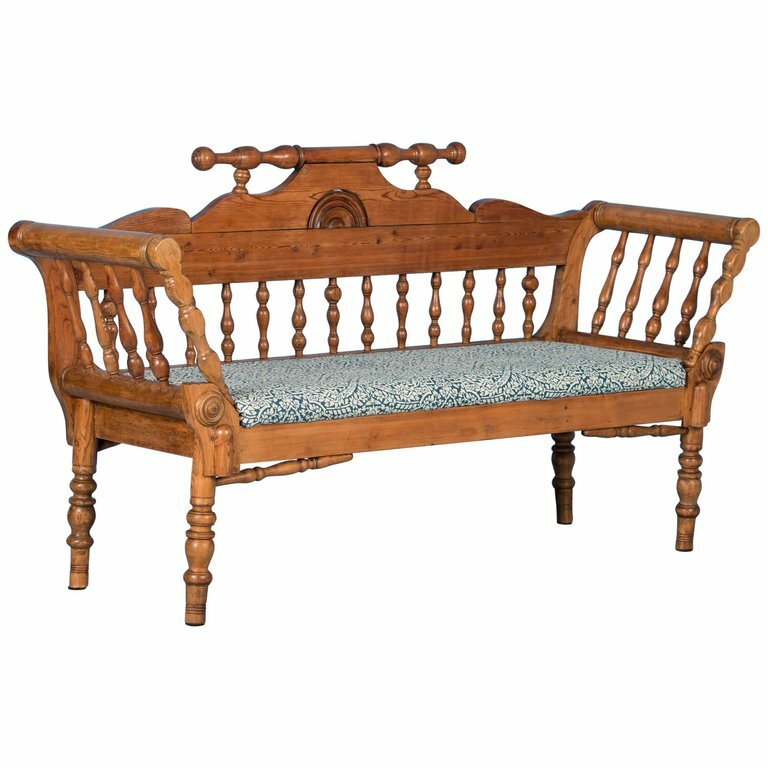 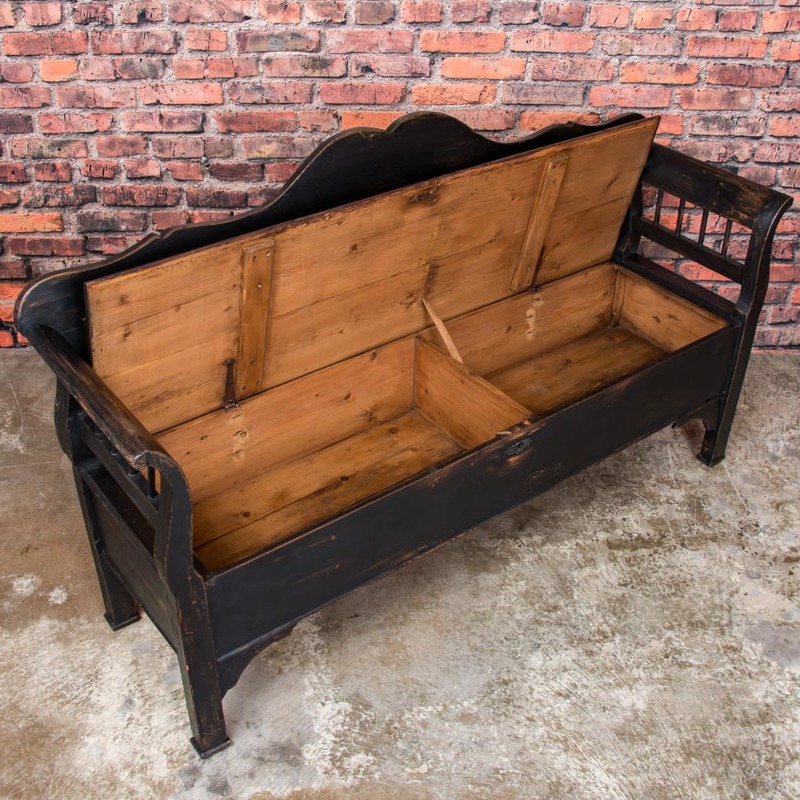 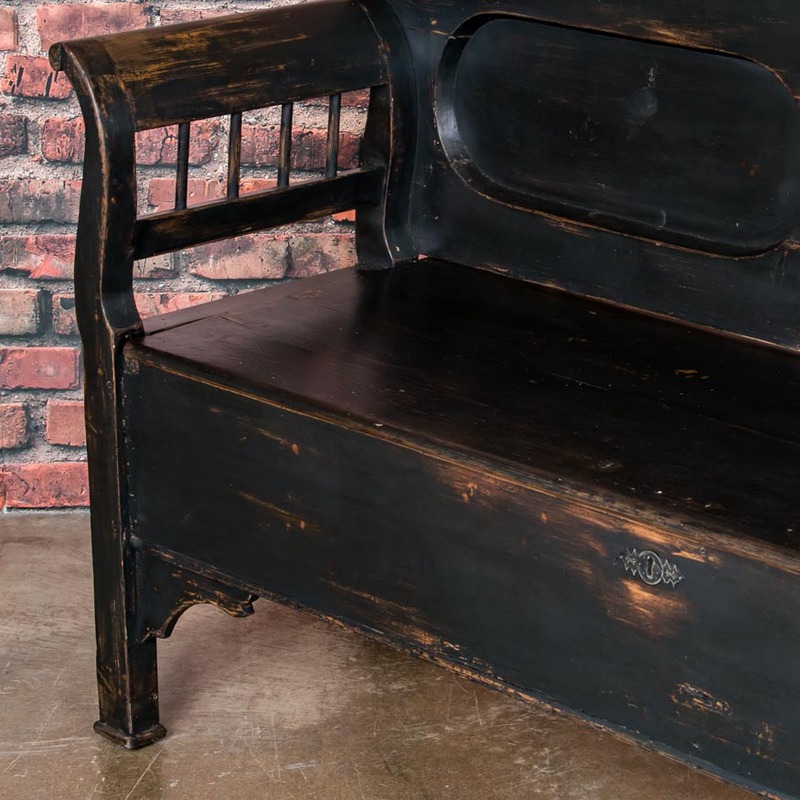 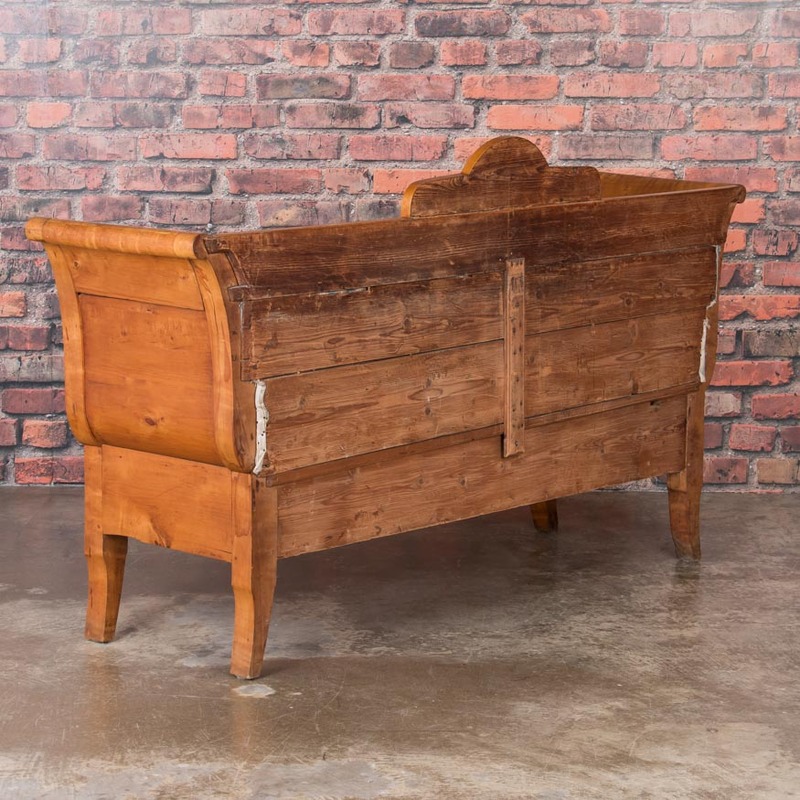 Antique high back birch sofa bench from Sweden circa 1840, with padded seat, back and sides. 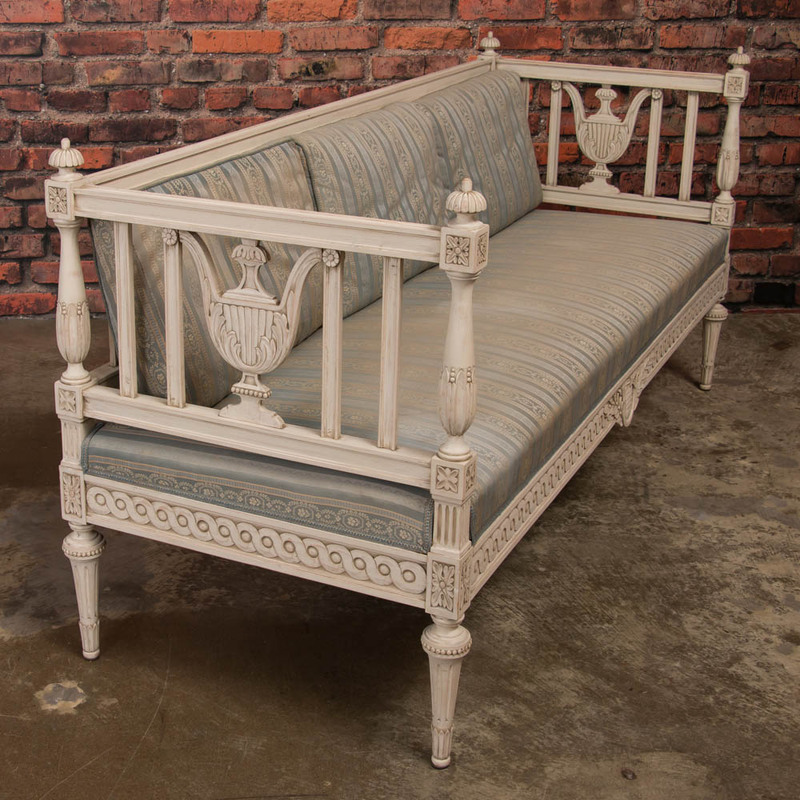 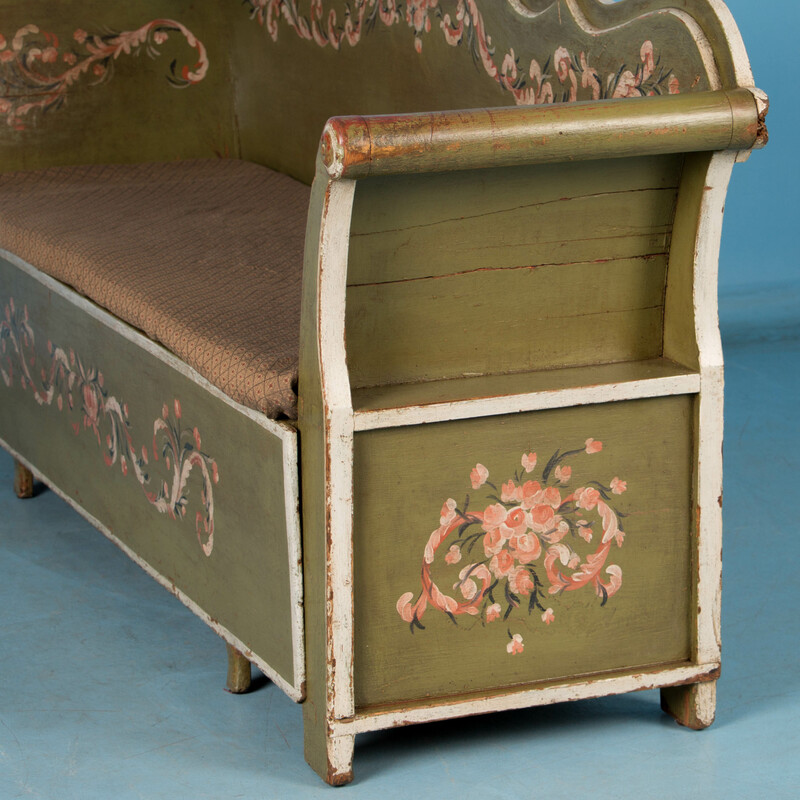 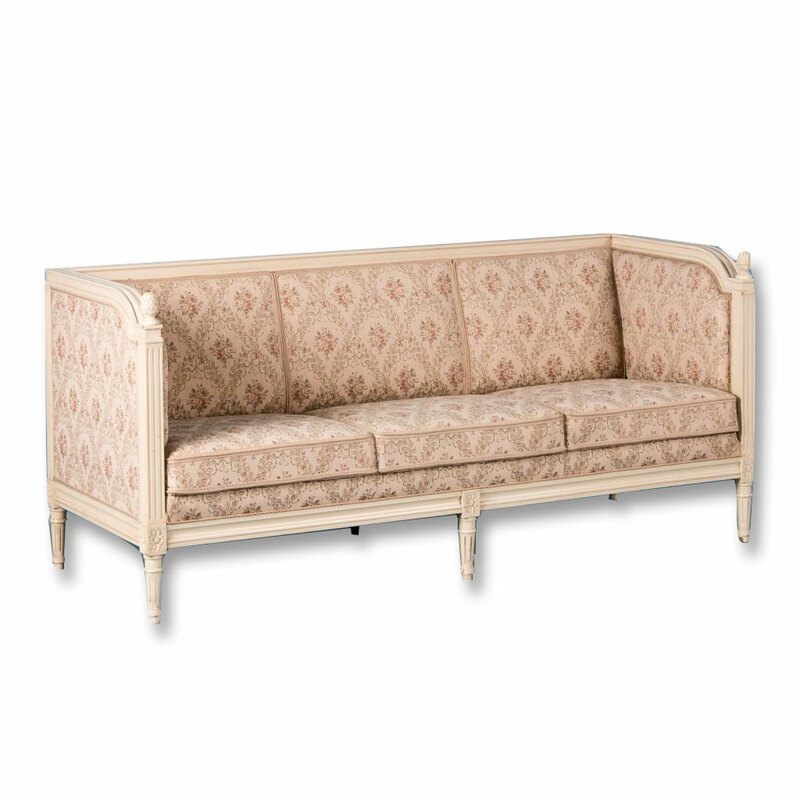 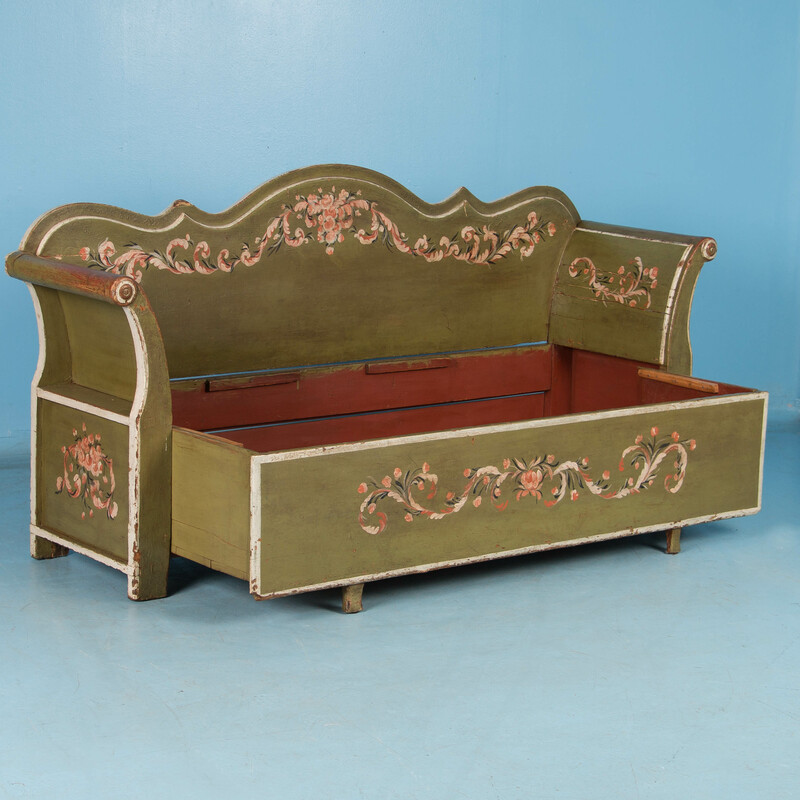 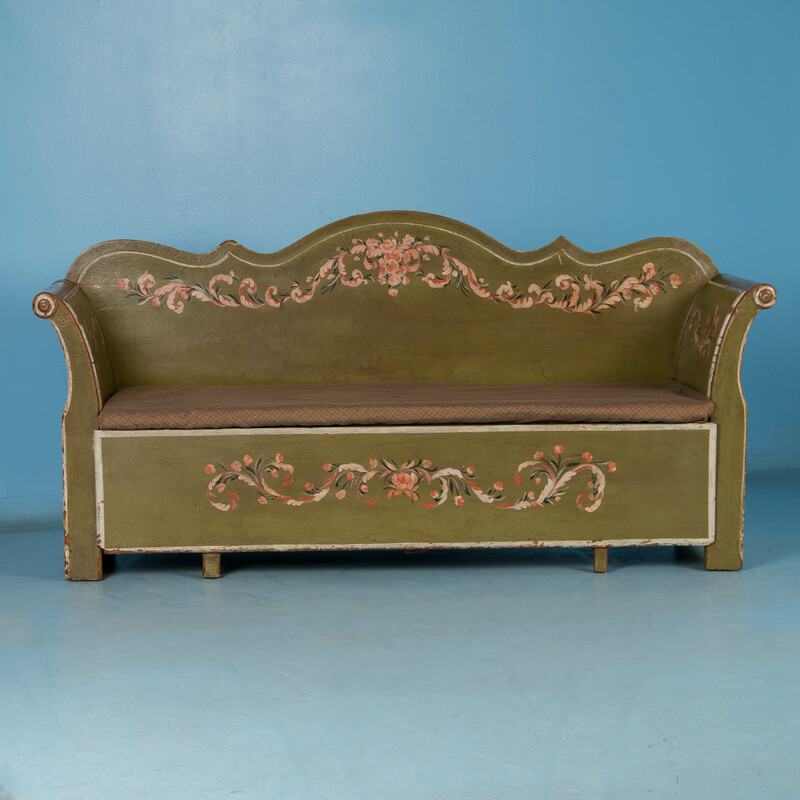 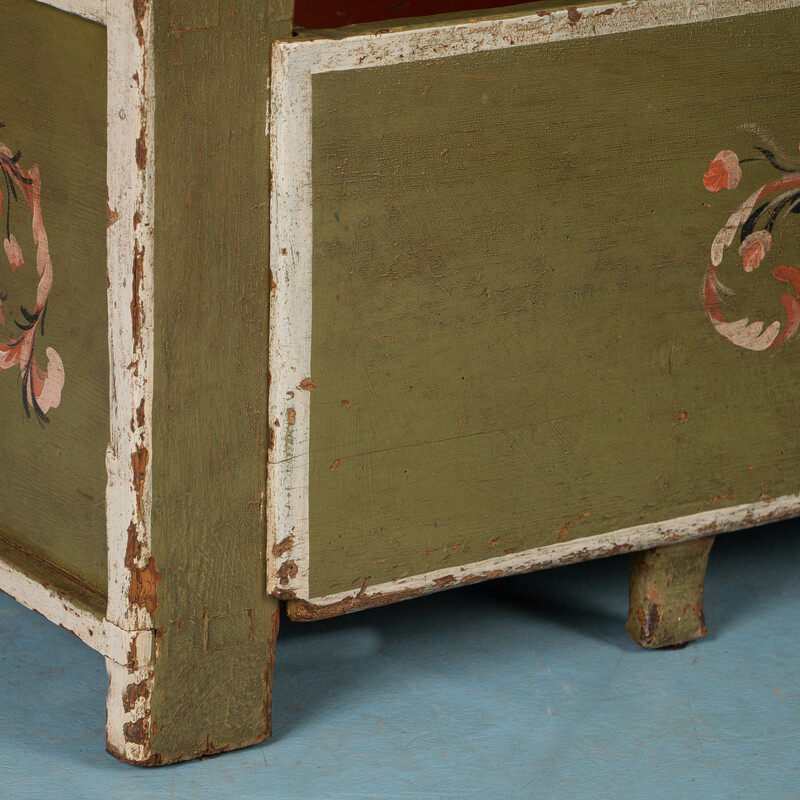 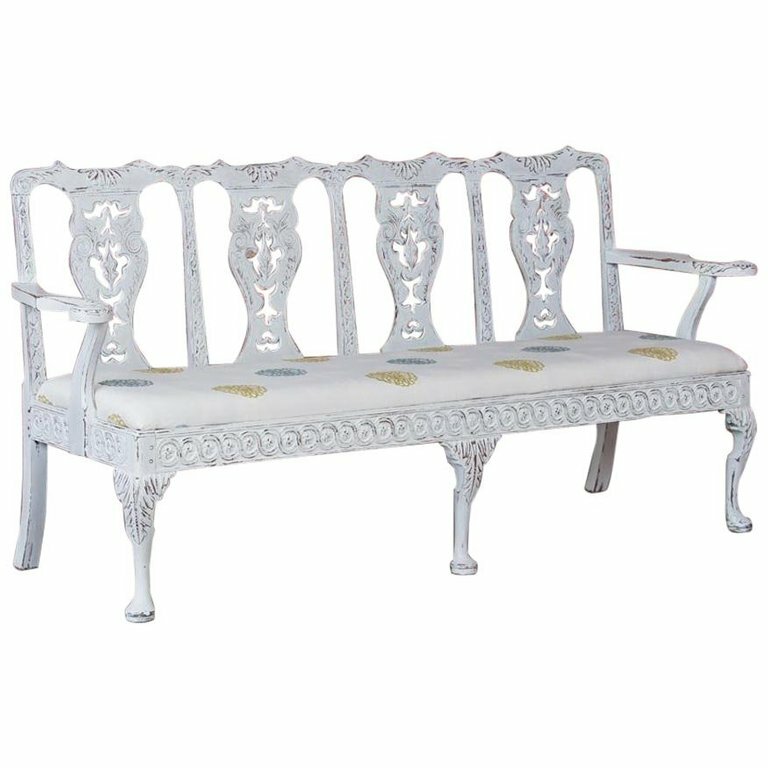 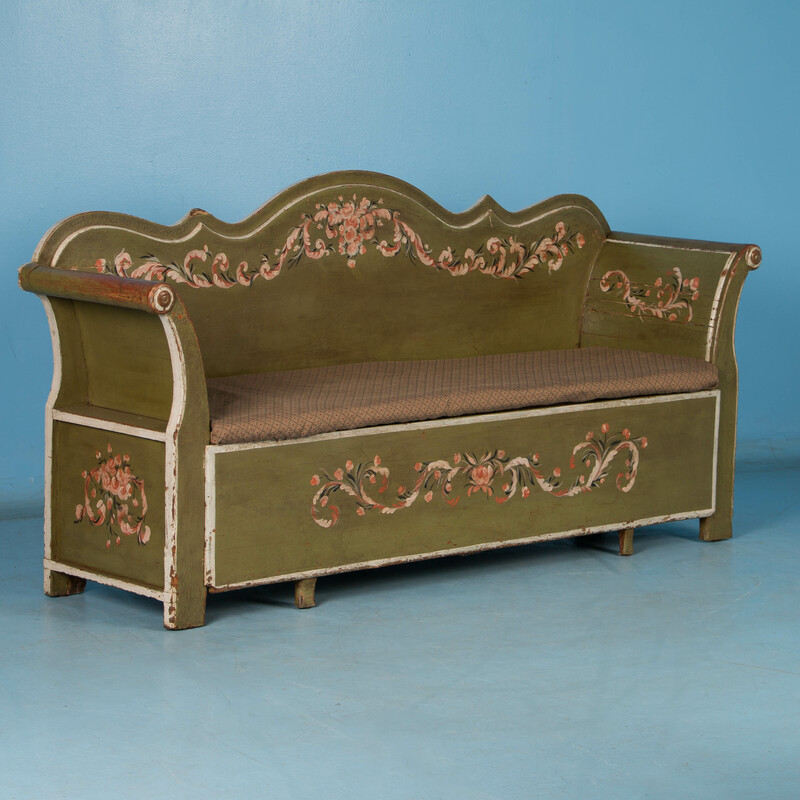 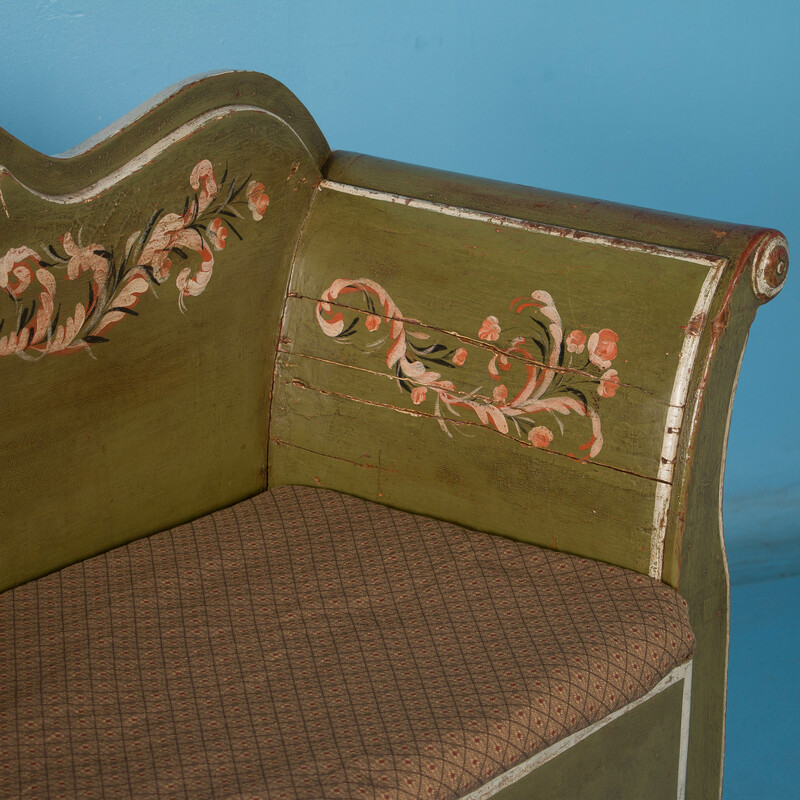 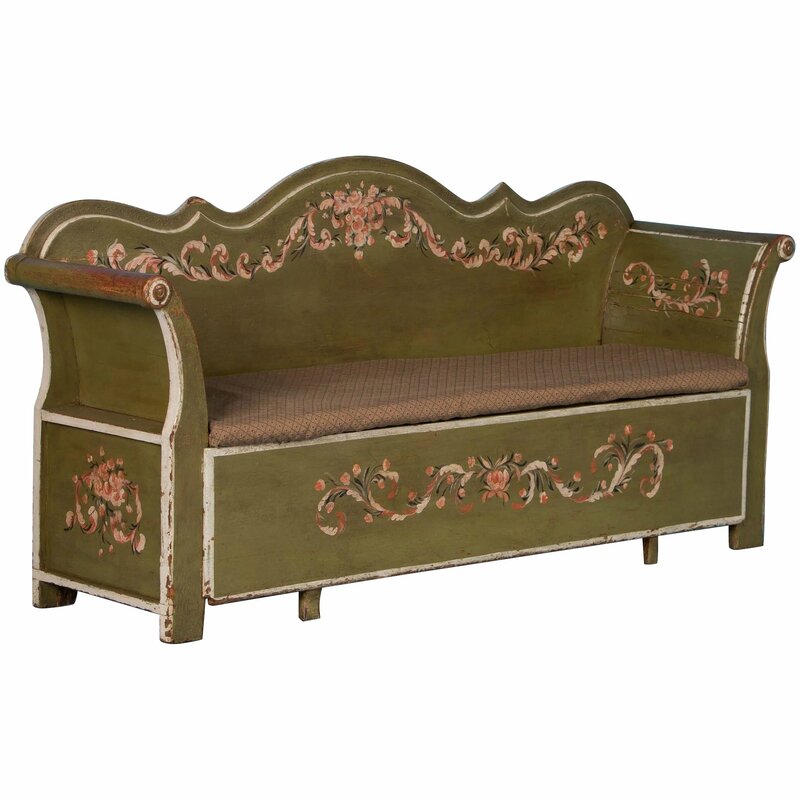 Antique upholstered sofa bench from Sweden circa 1860-1880, painted white with finials and carved floral details. 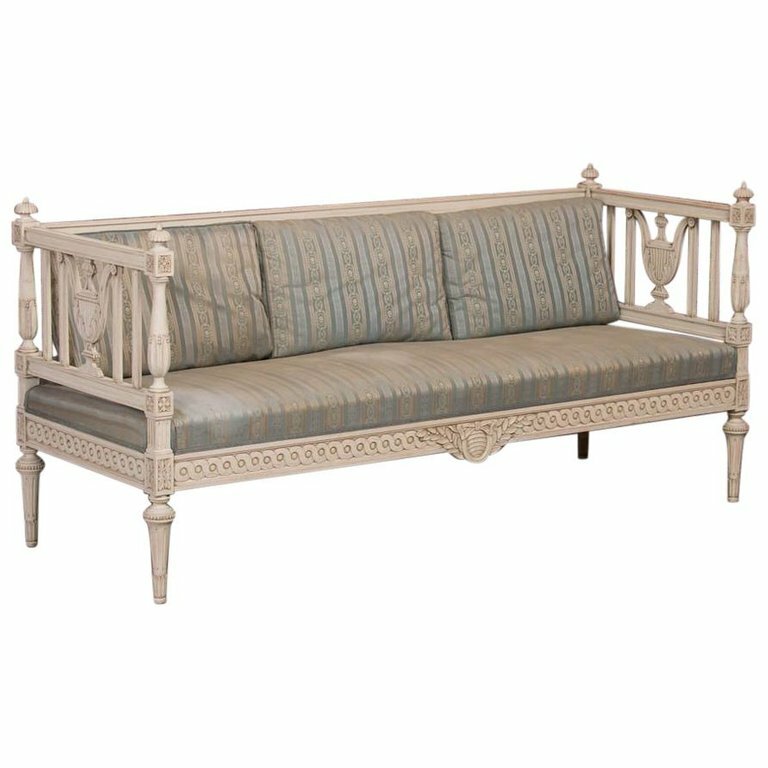 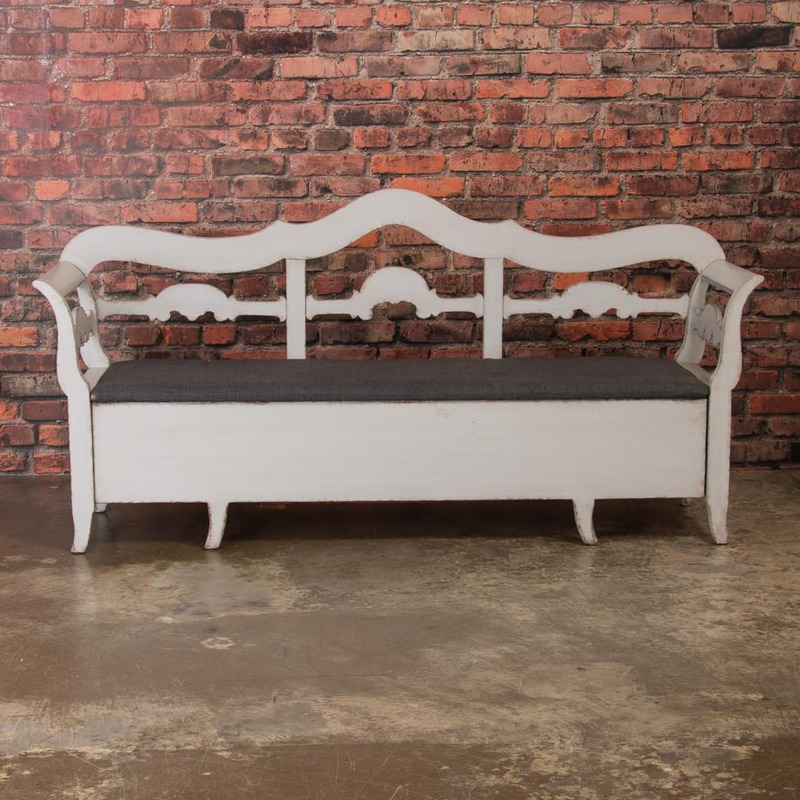 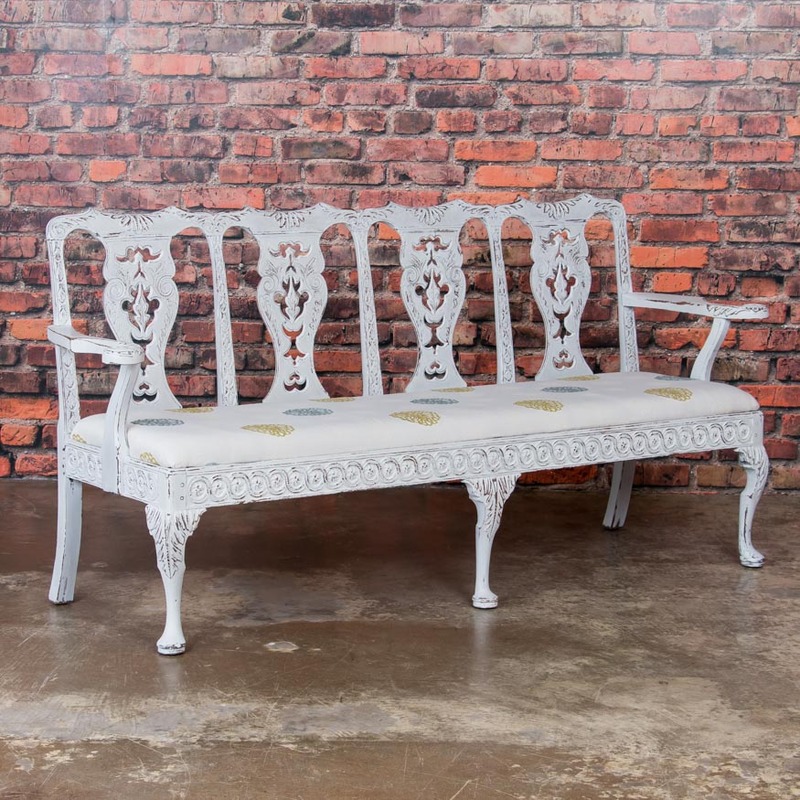 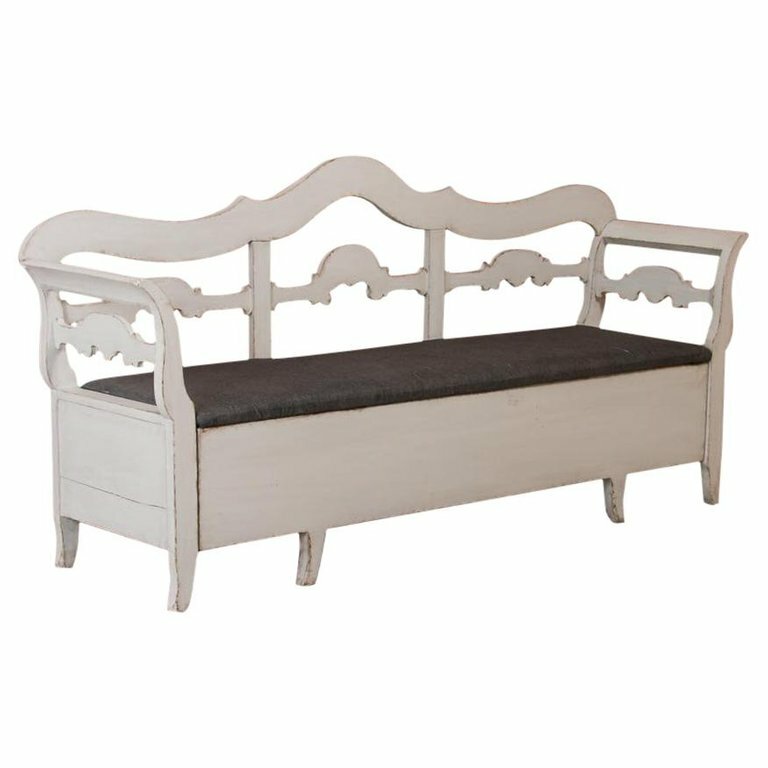 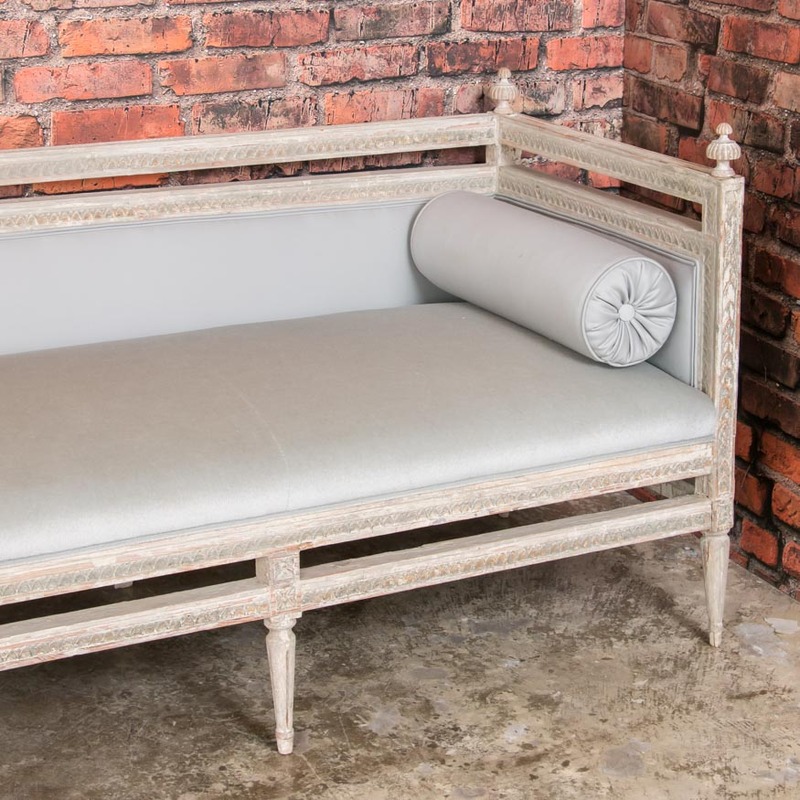 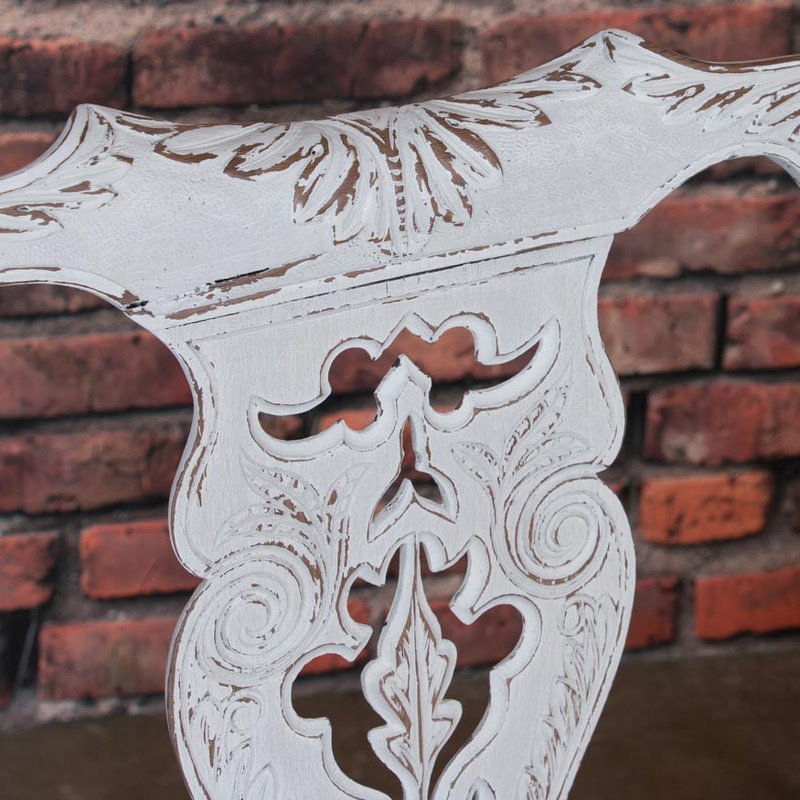 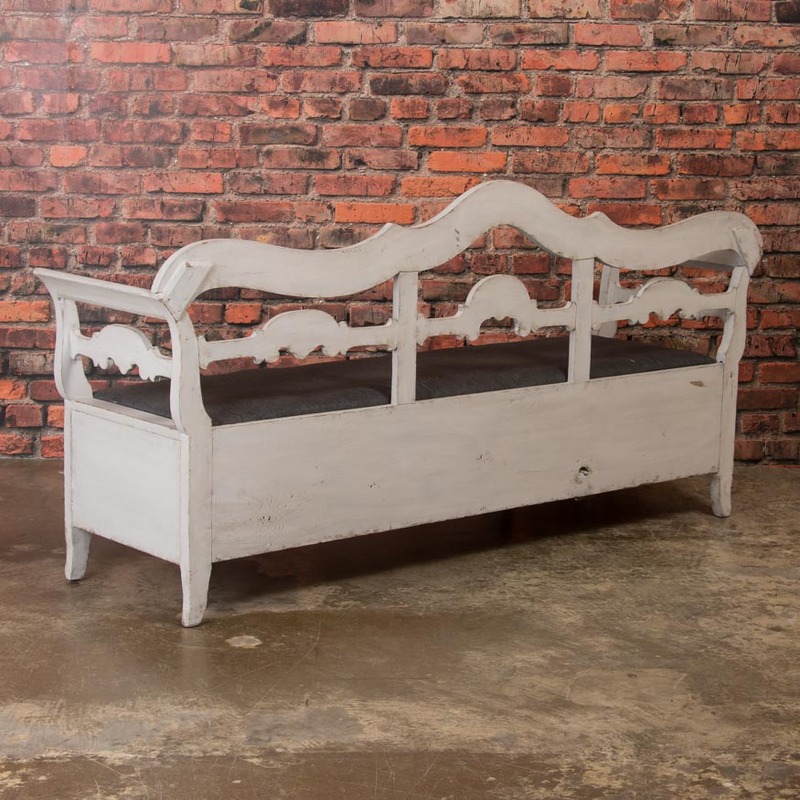 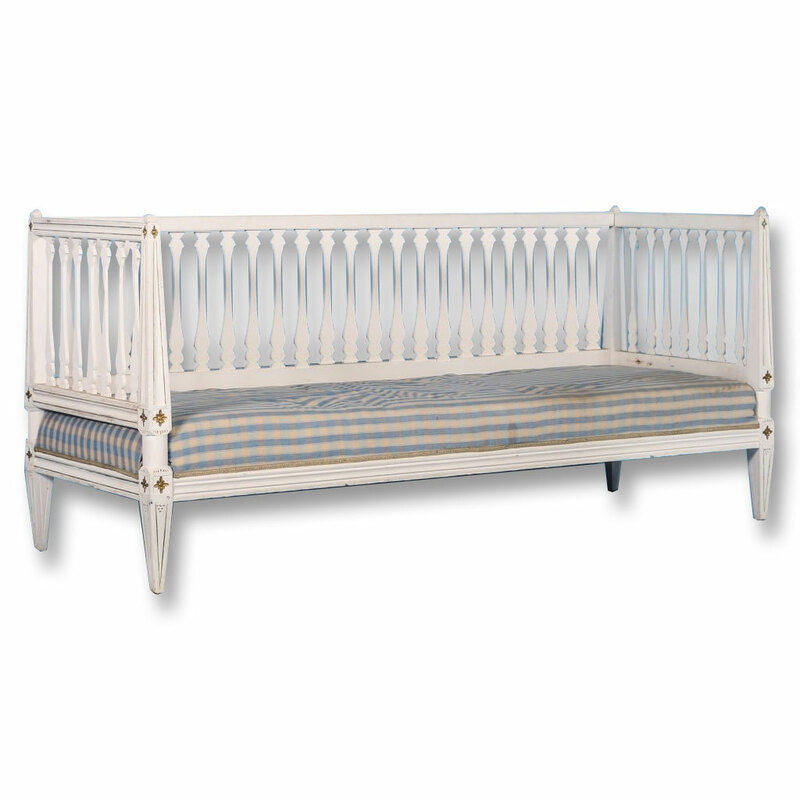 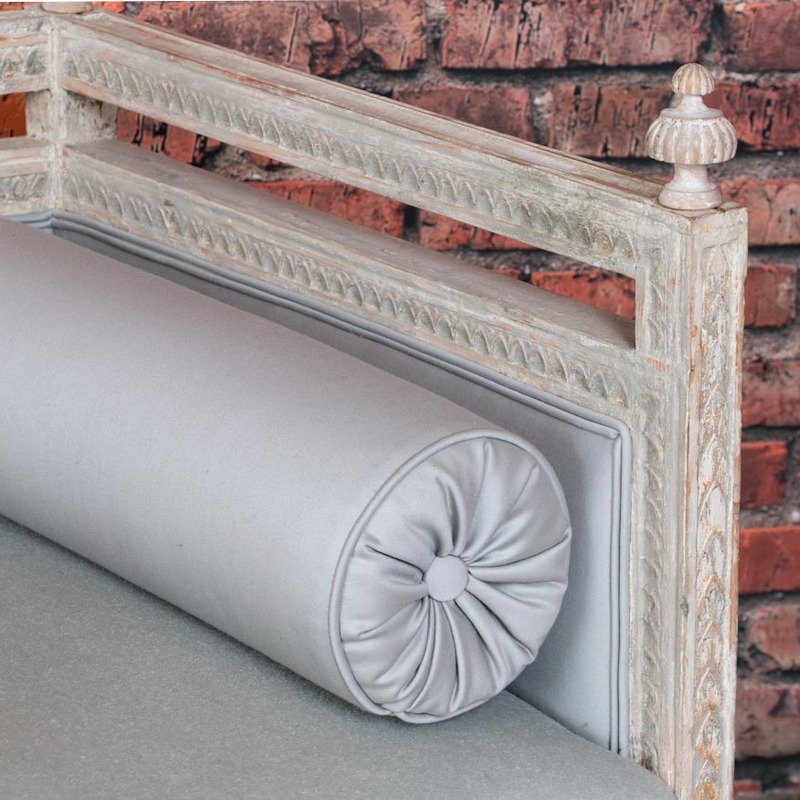 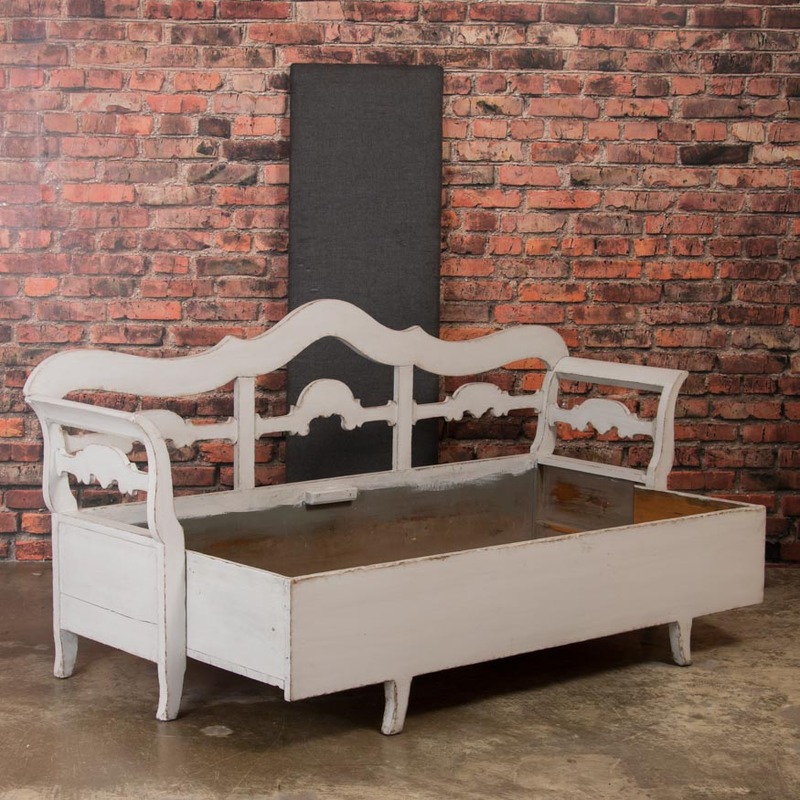 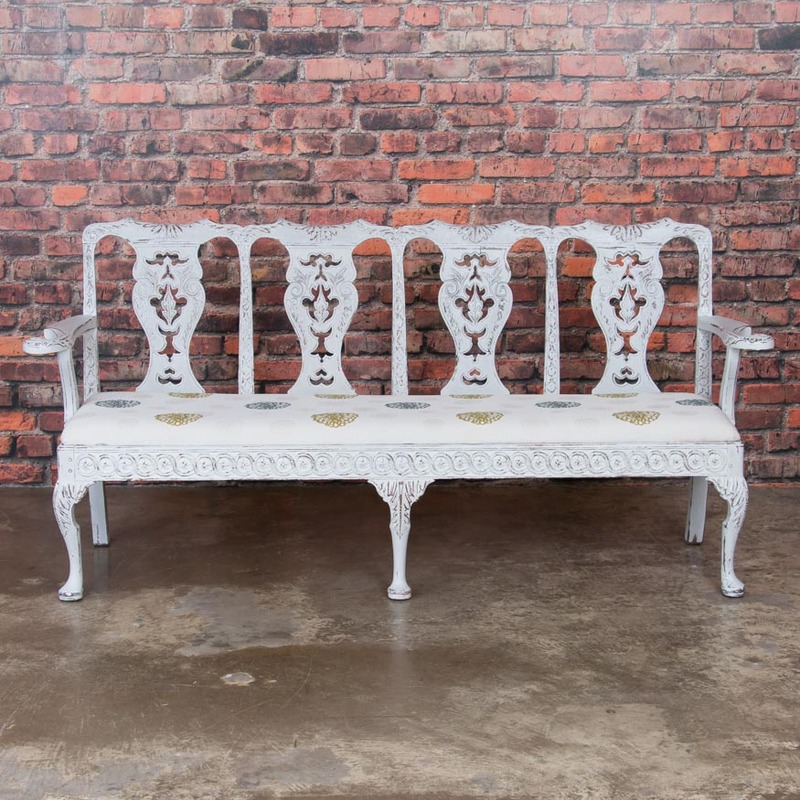 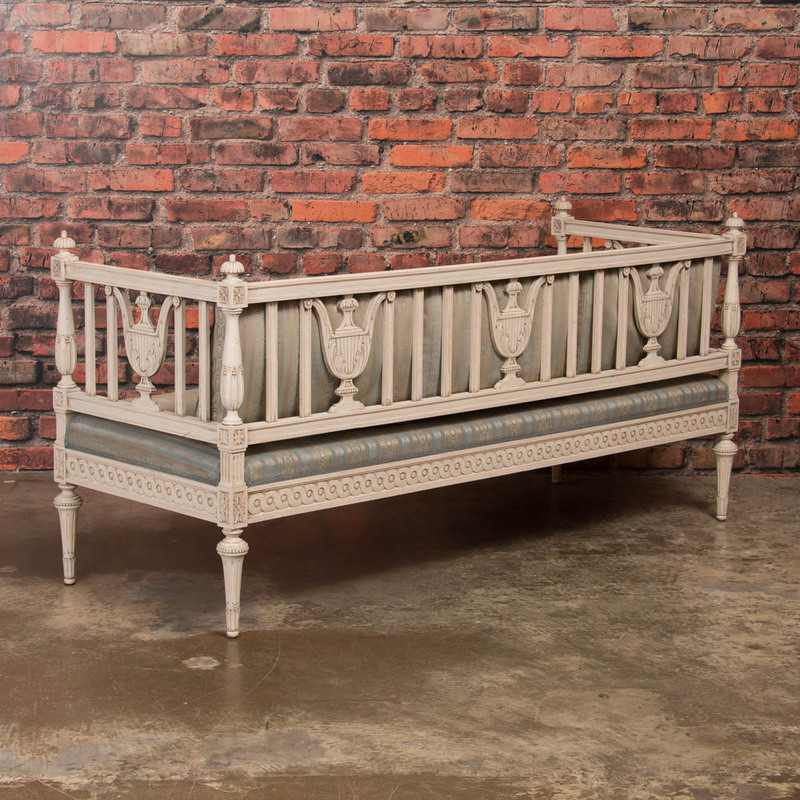 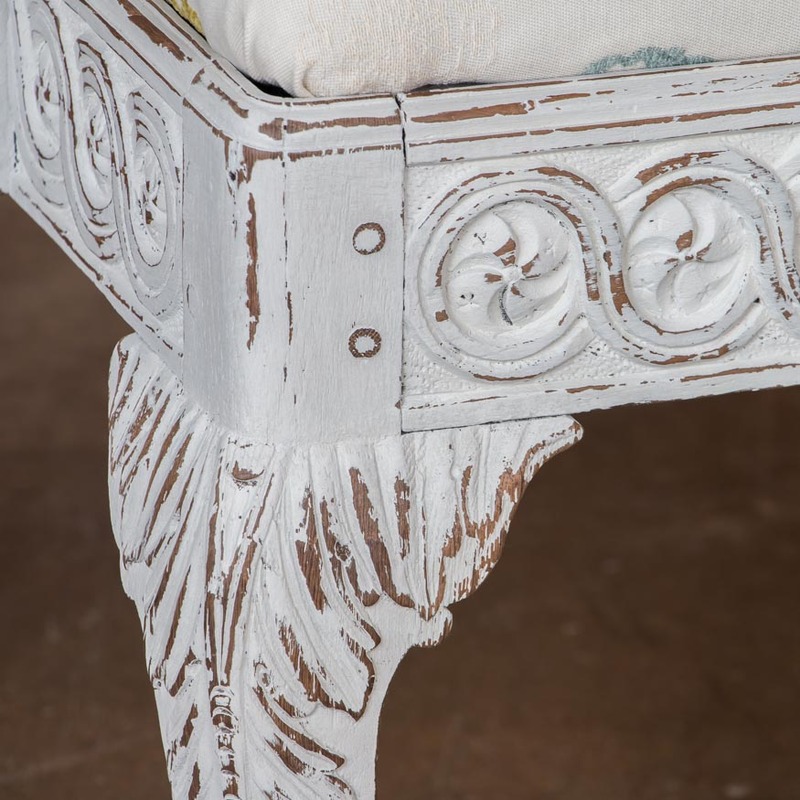 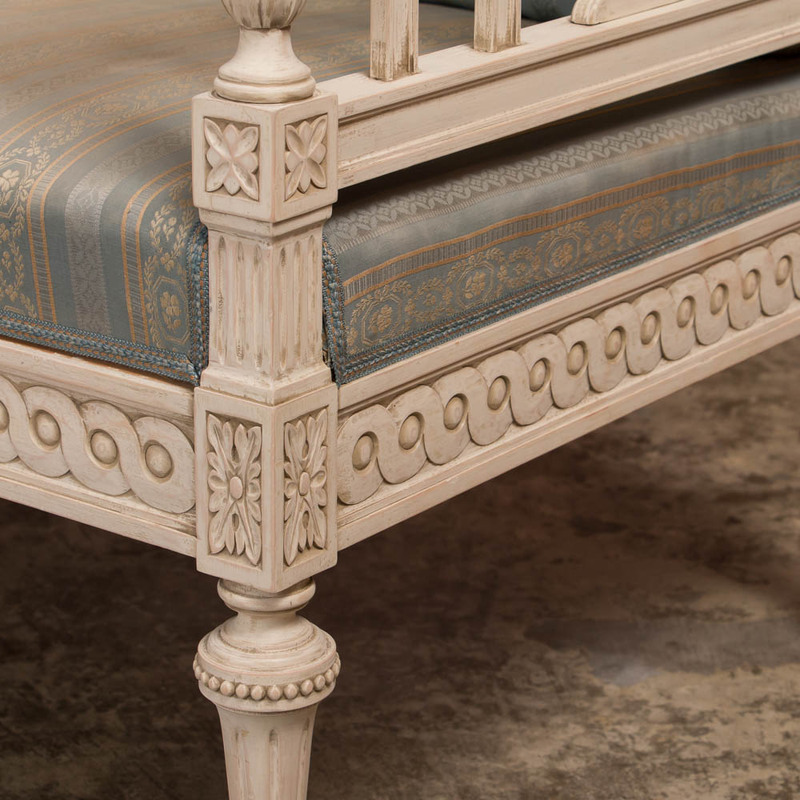 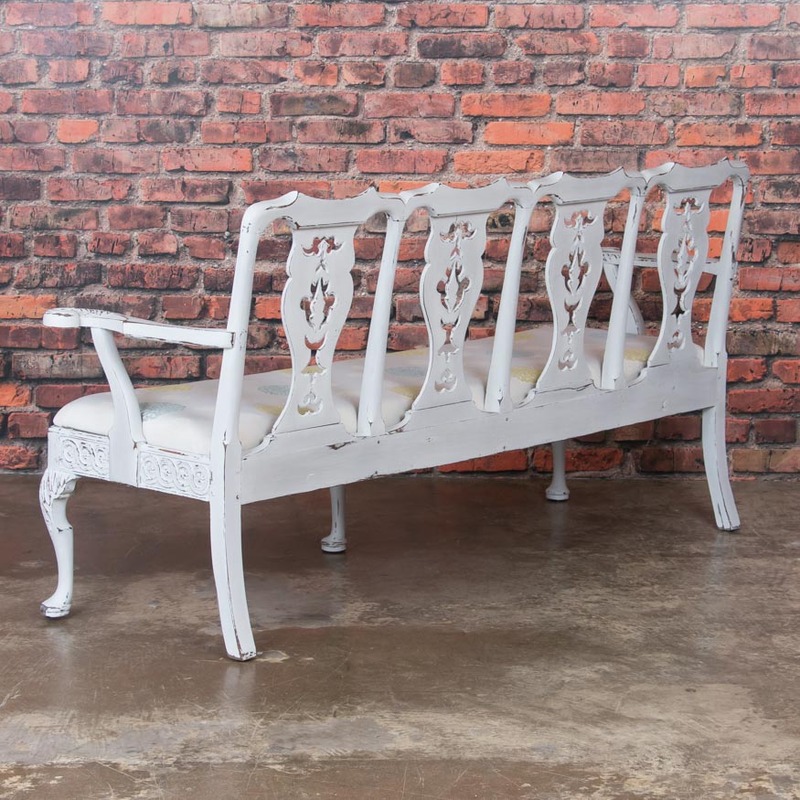 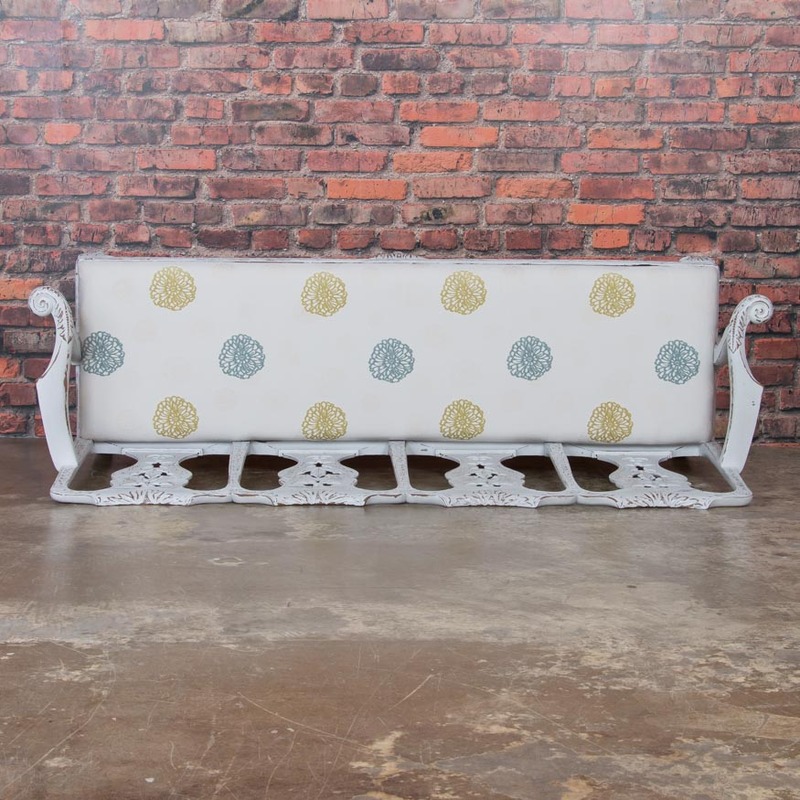 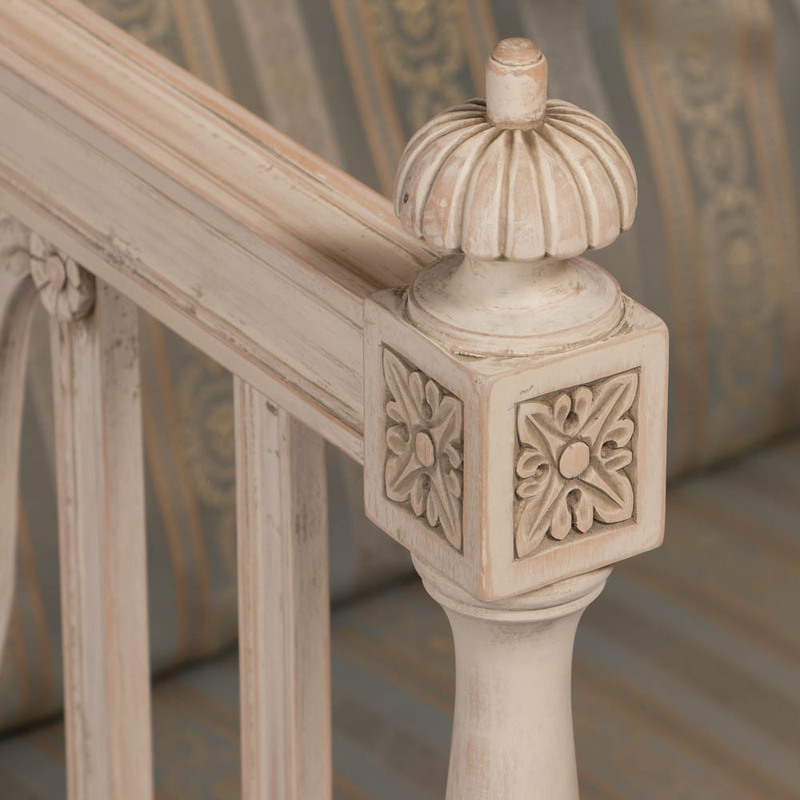 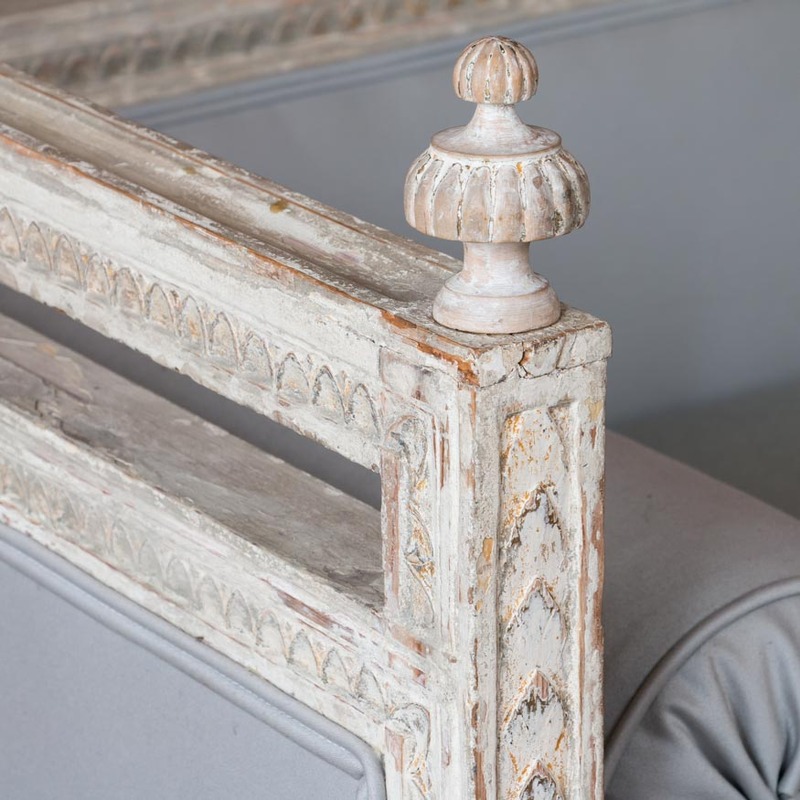 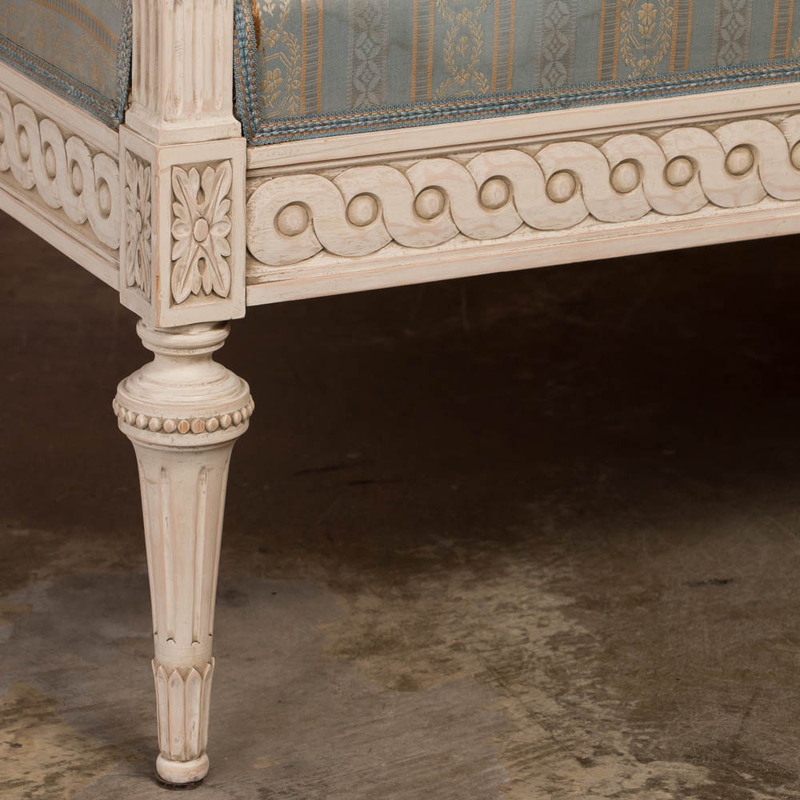 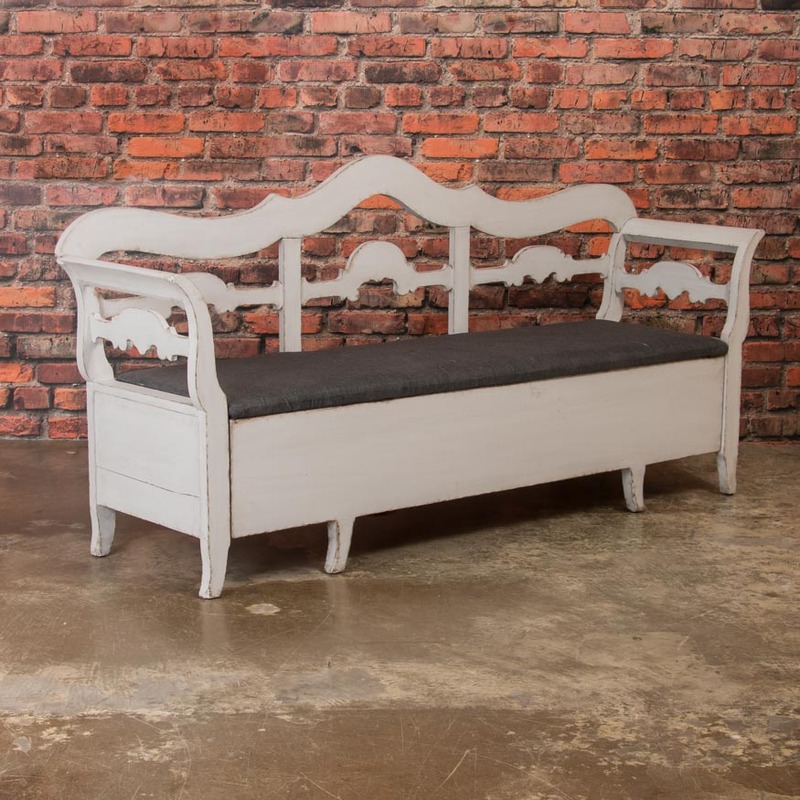 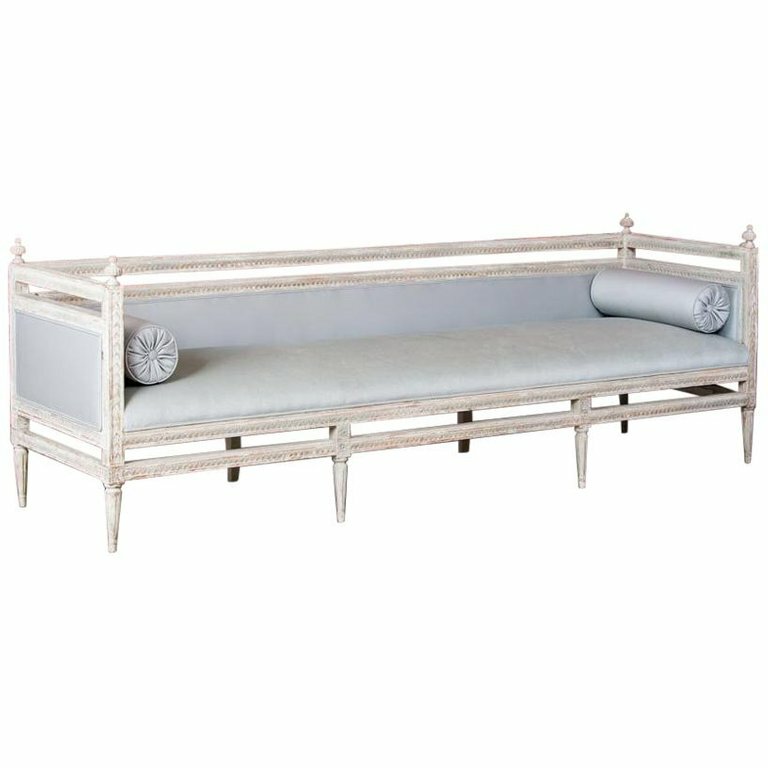 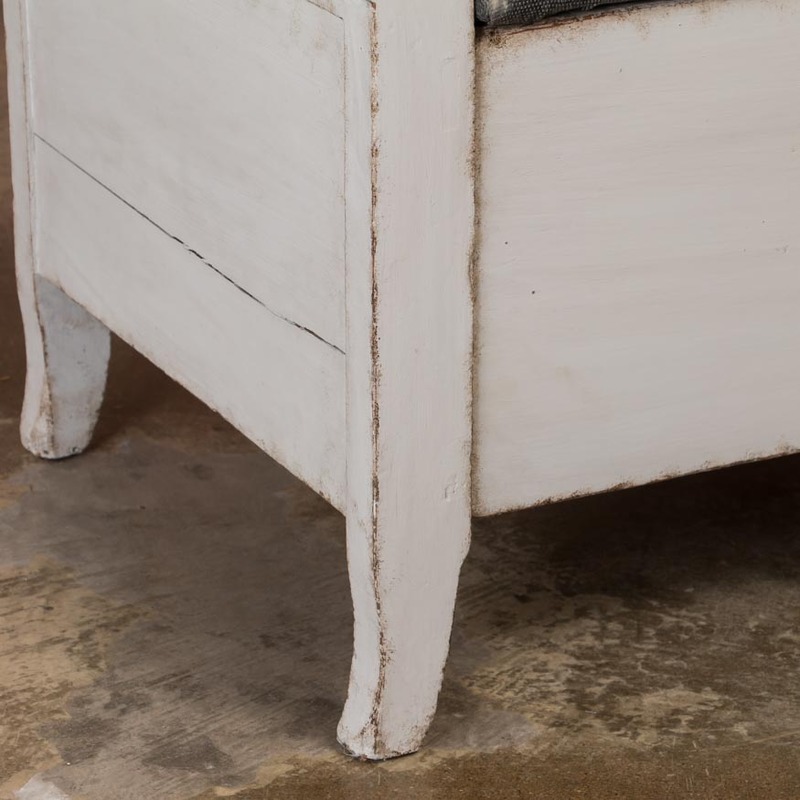 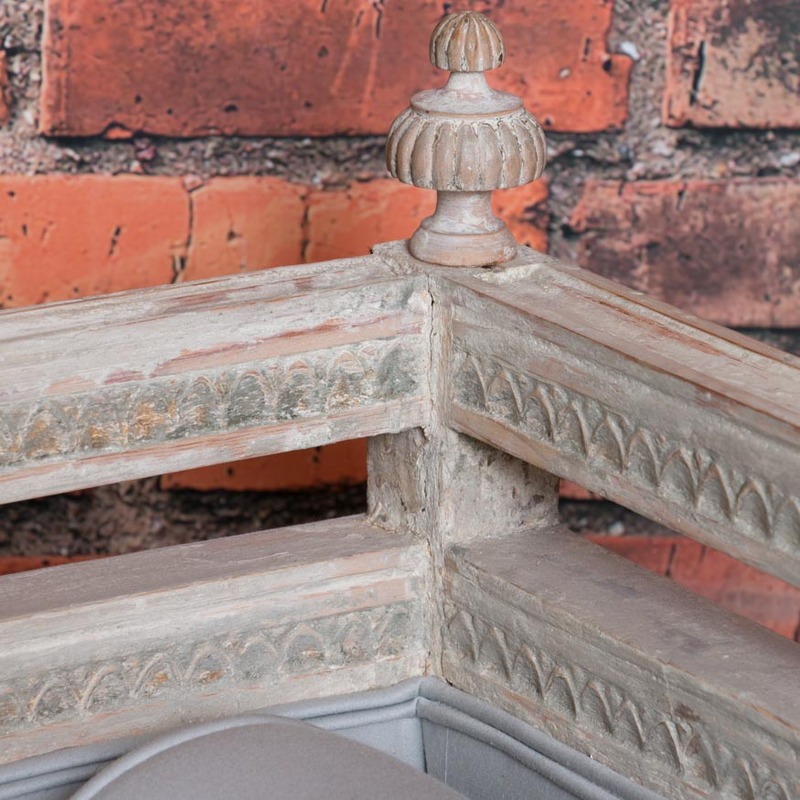 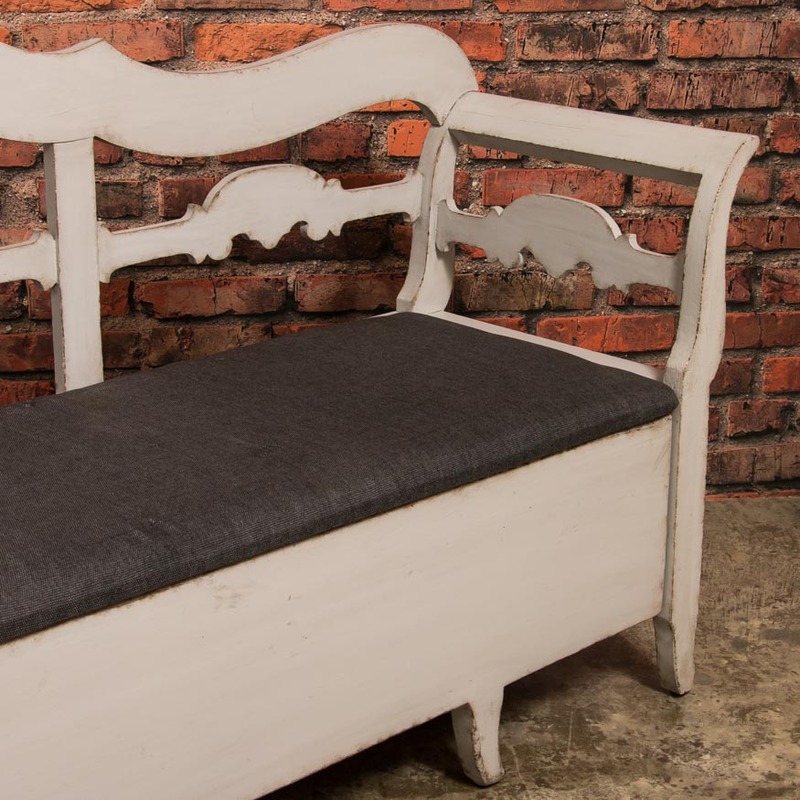 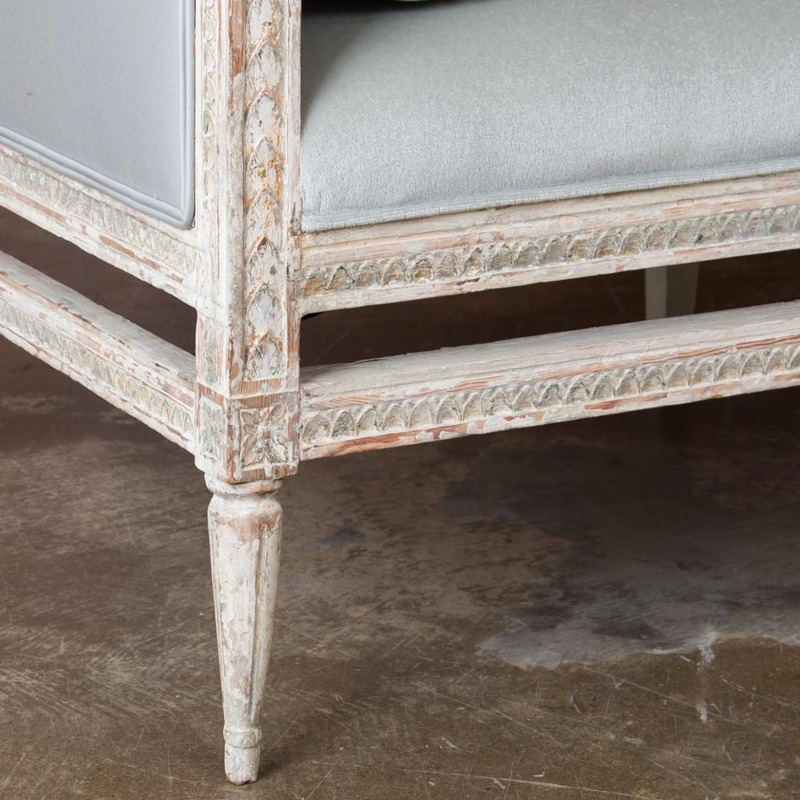 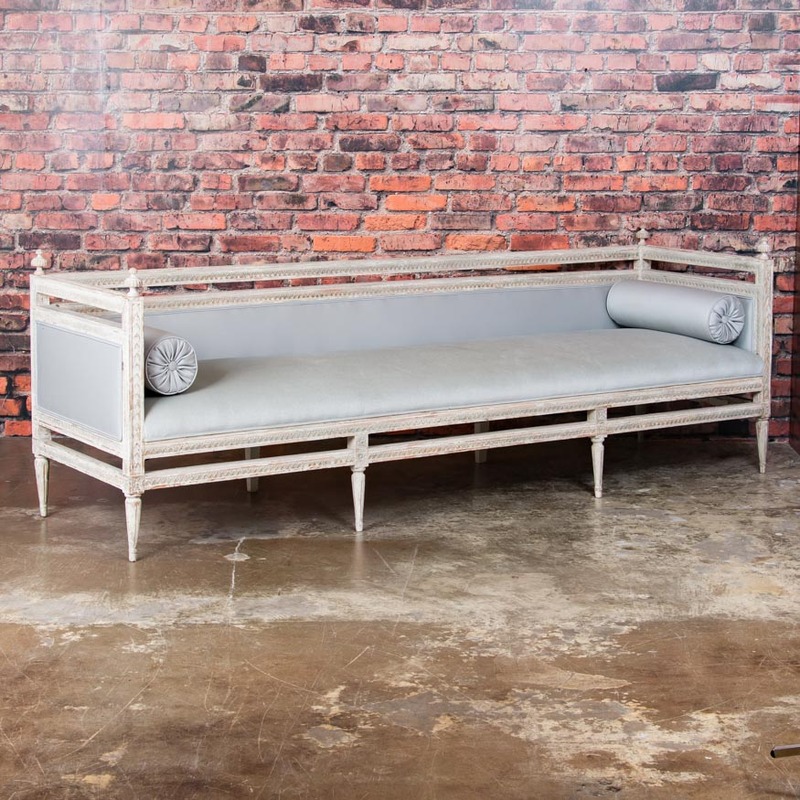 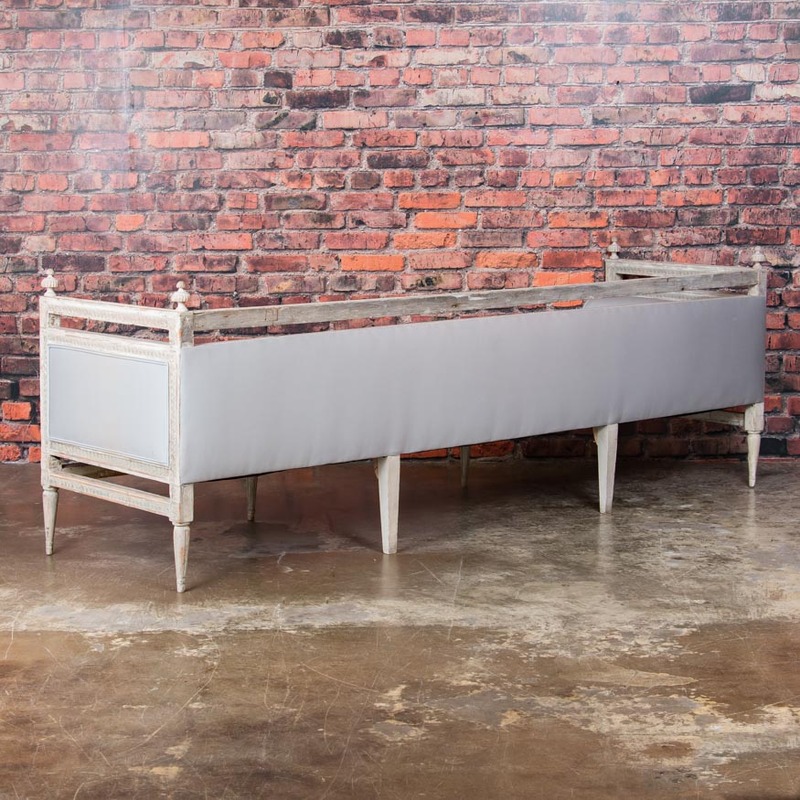 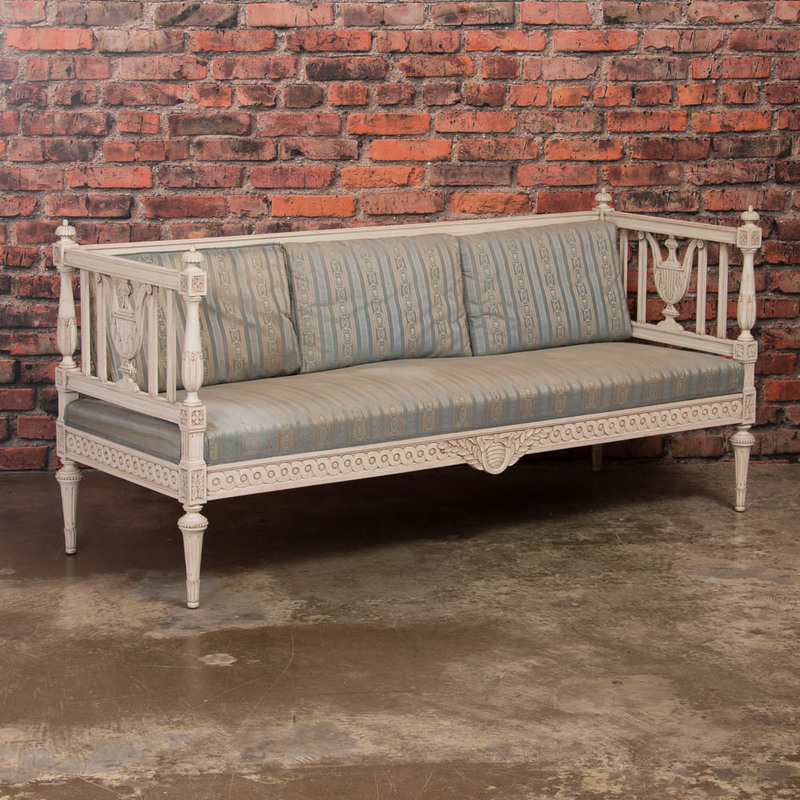 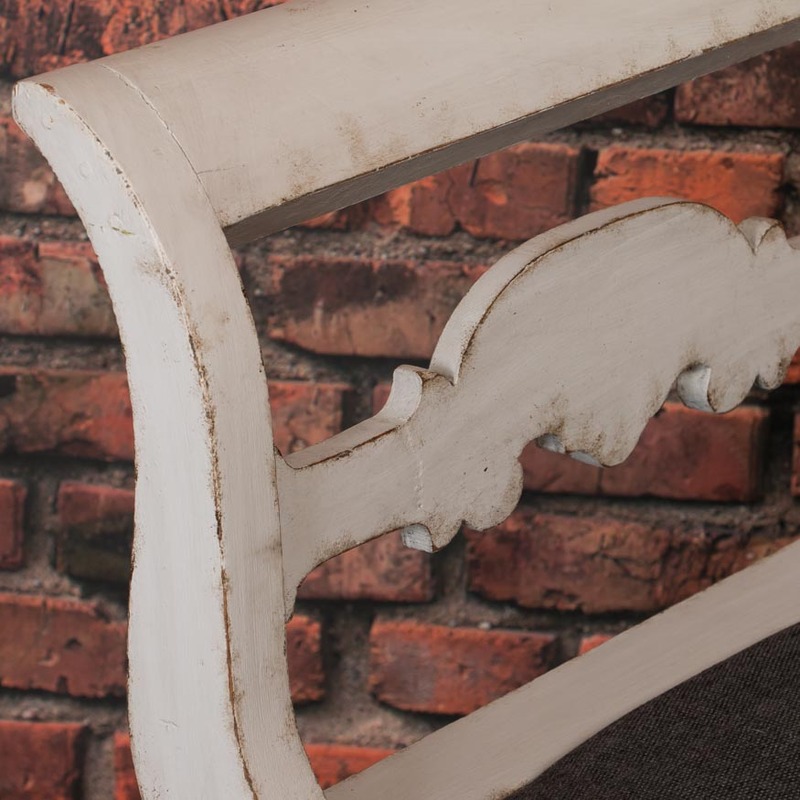 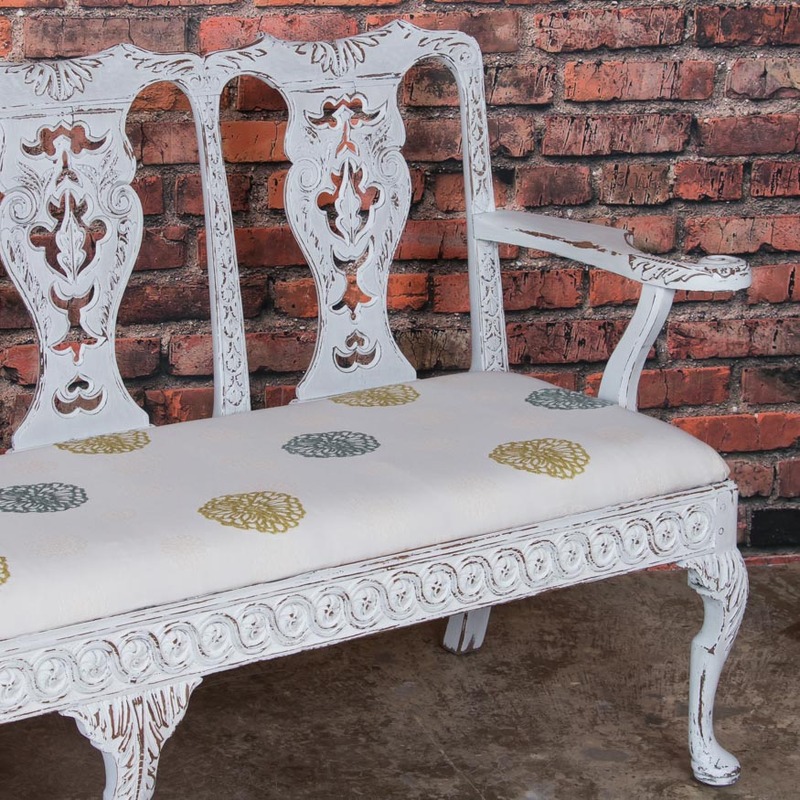 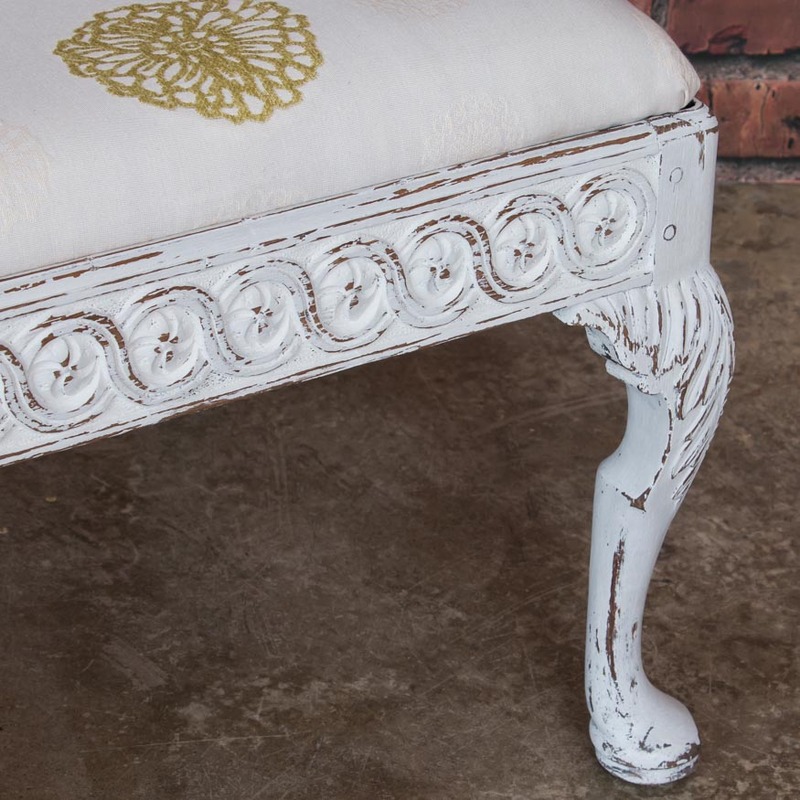 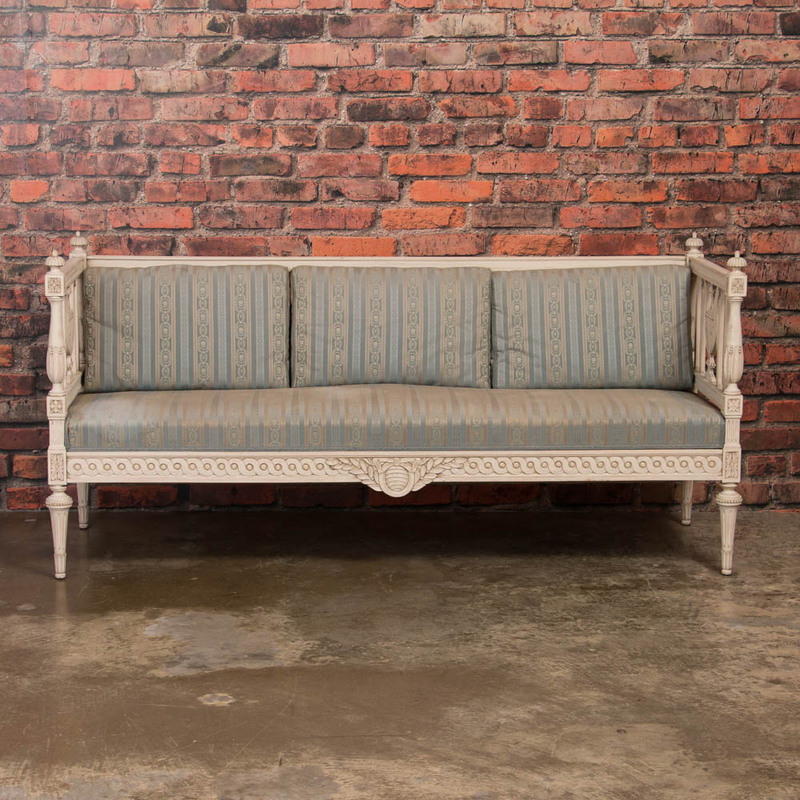 This lovely long upholstered bench is a wonderful example of Swedish Gustavian craftsmanship with it's delicately carved details, while the old distressed white paint with gray and gold undertones add to its allure. 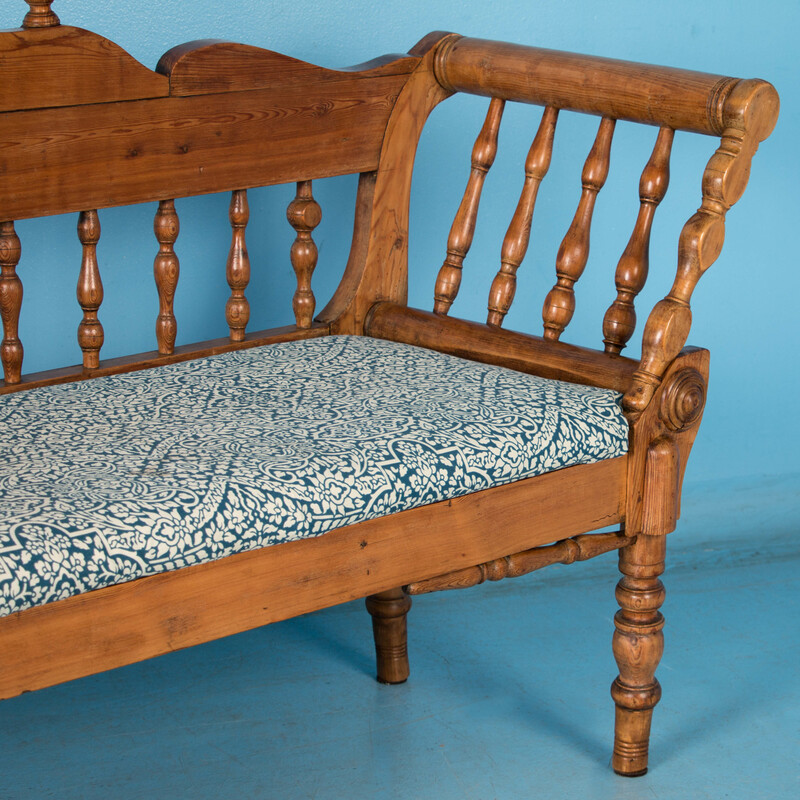 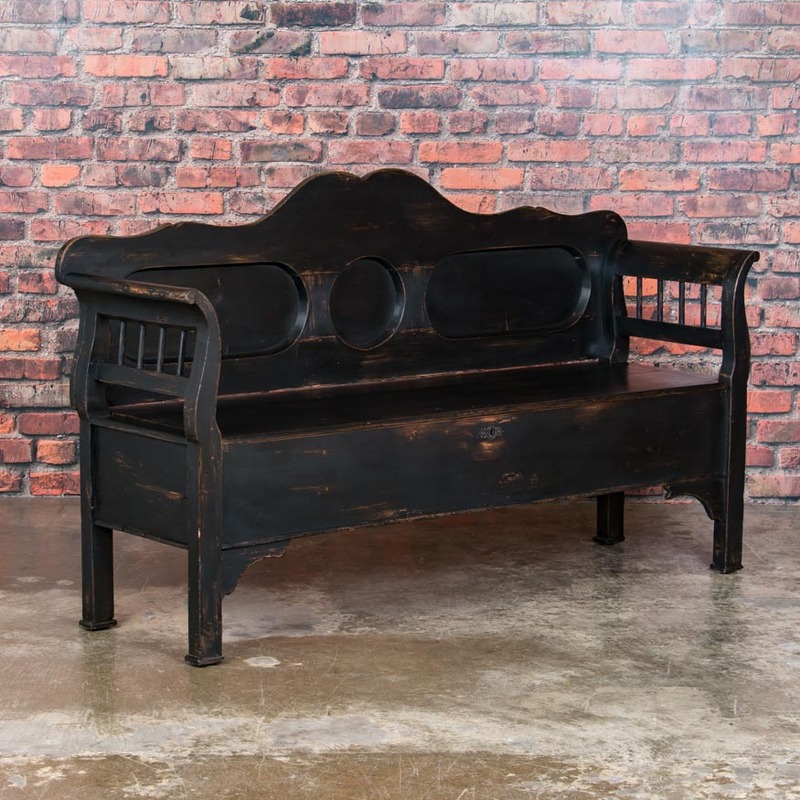 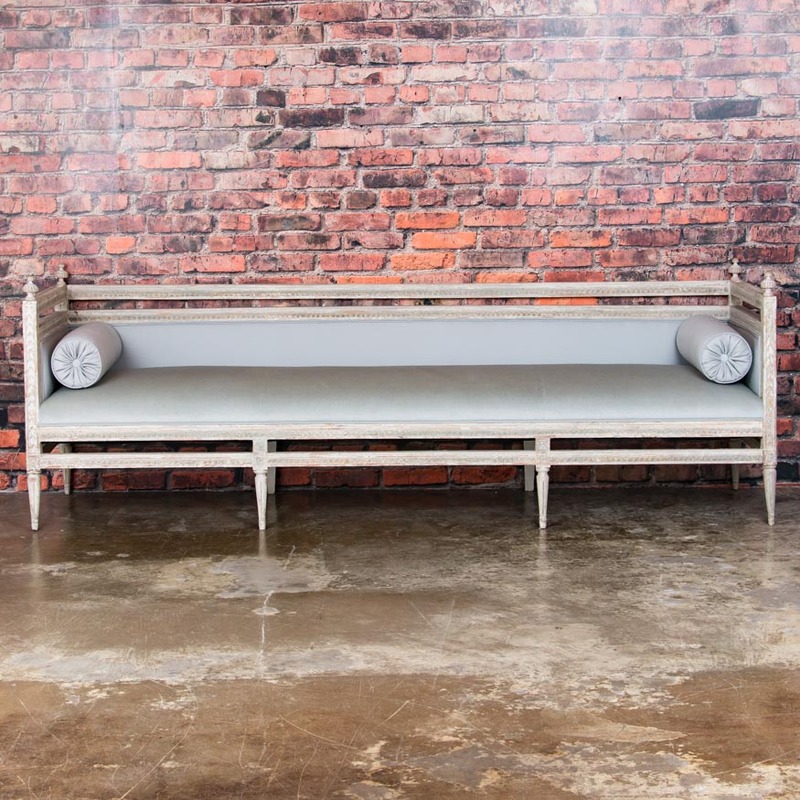 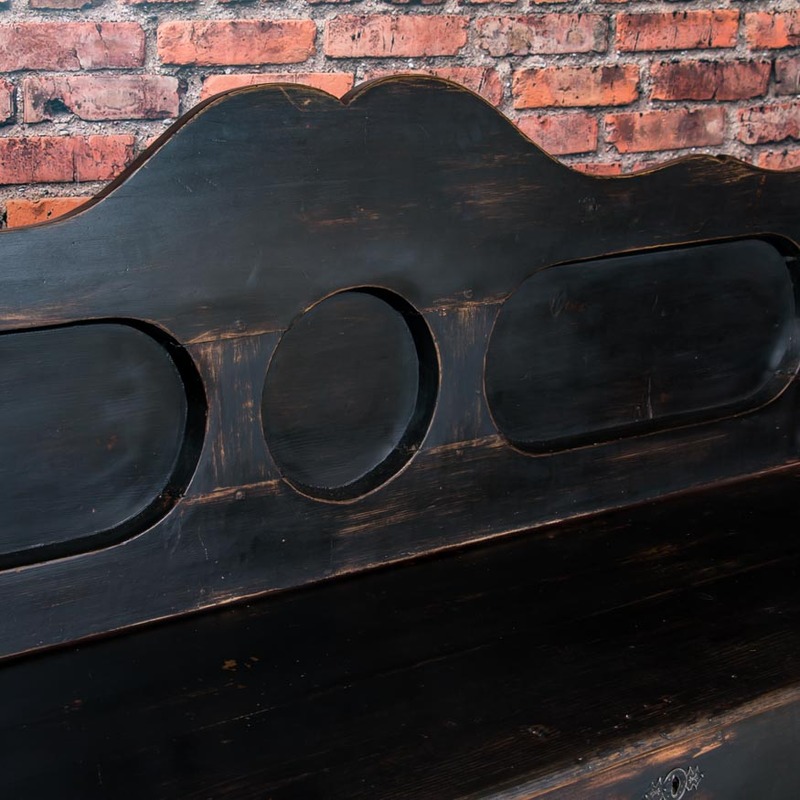 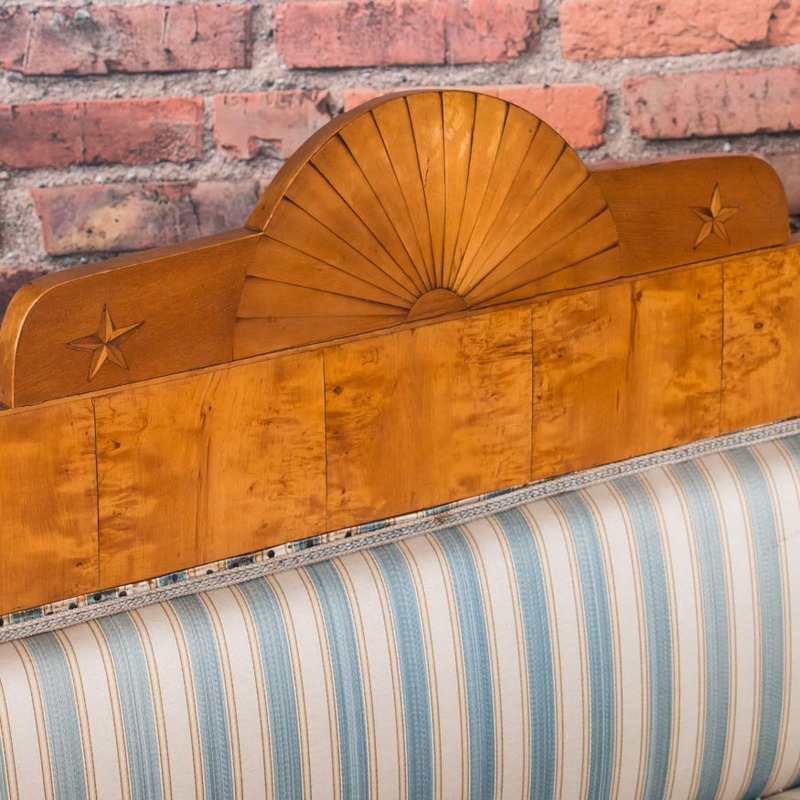 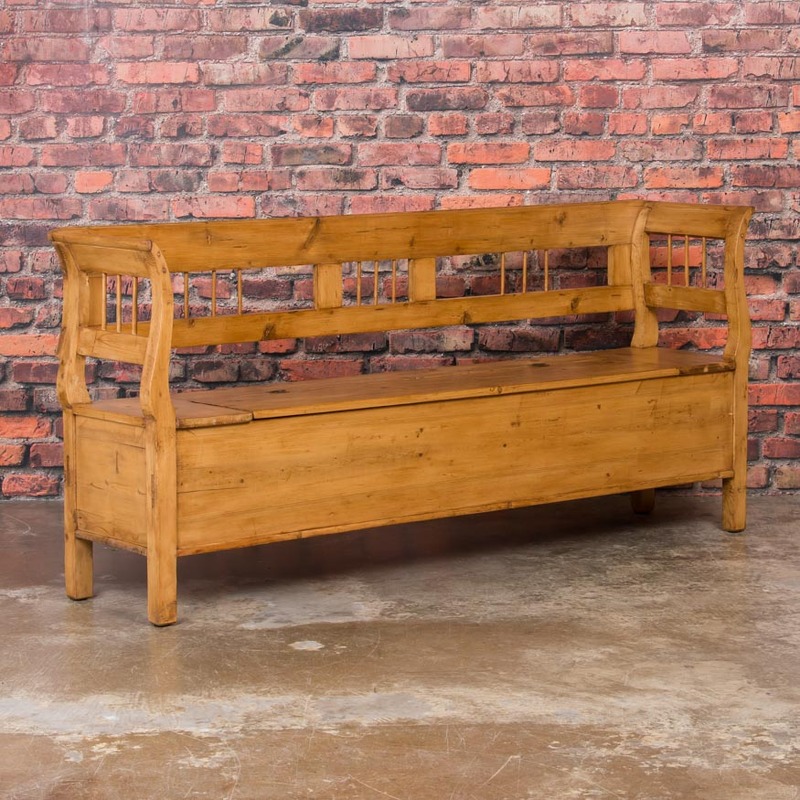 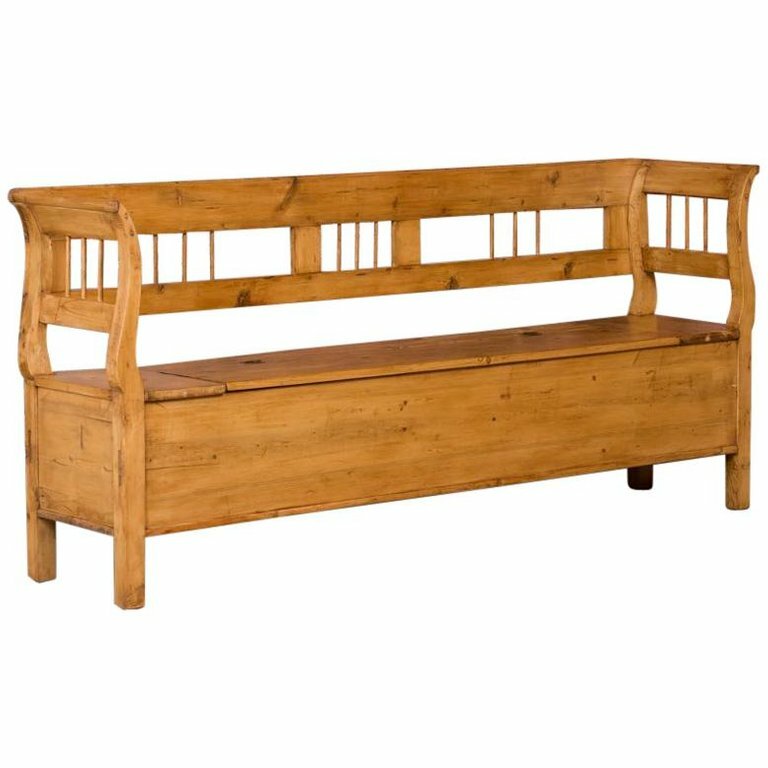 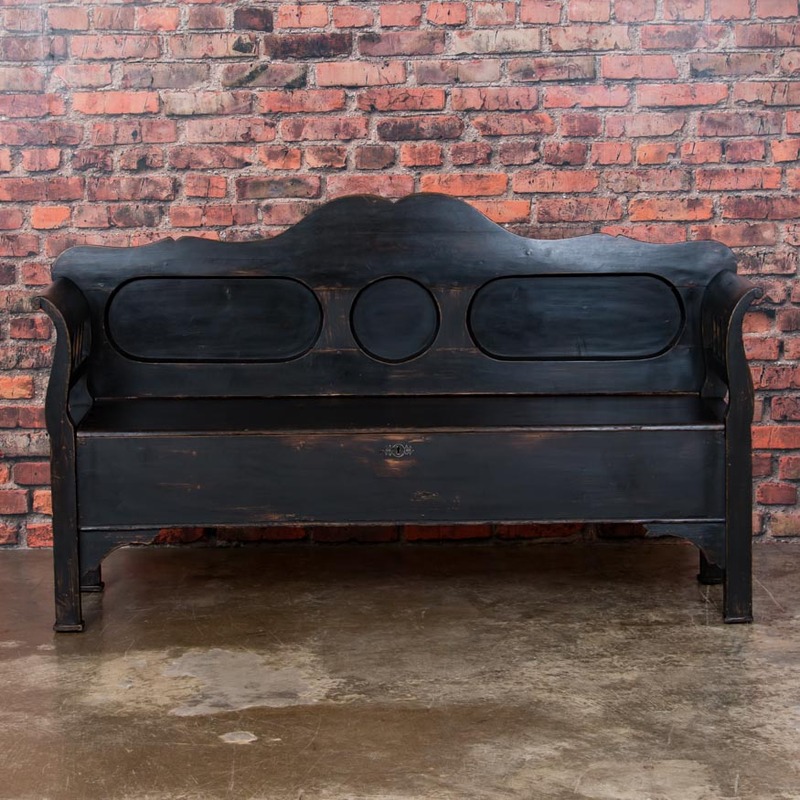 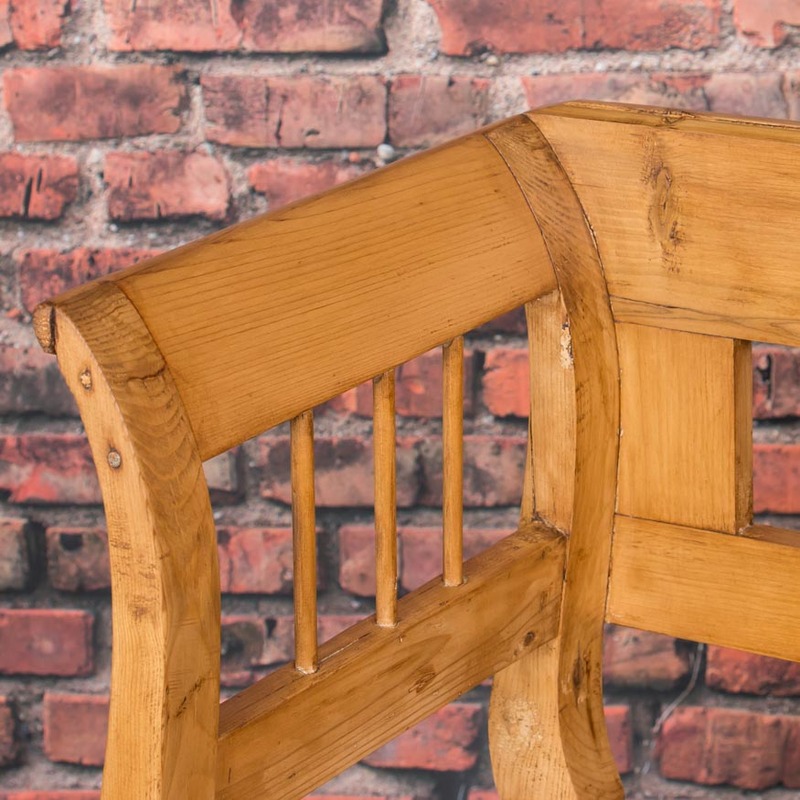 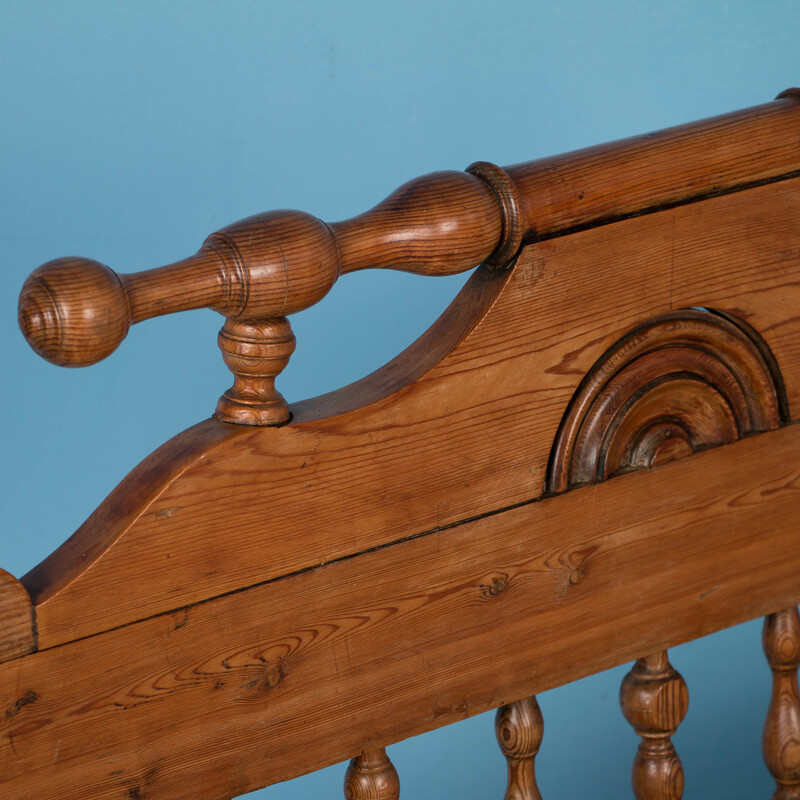 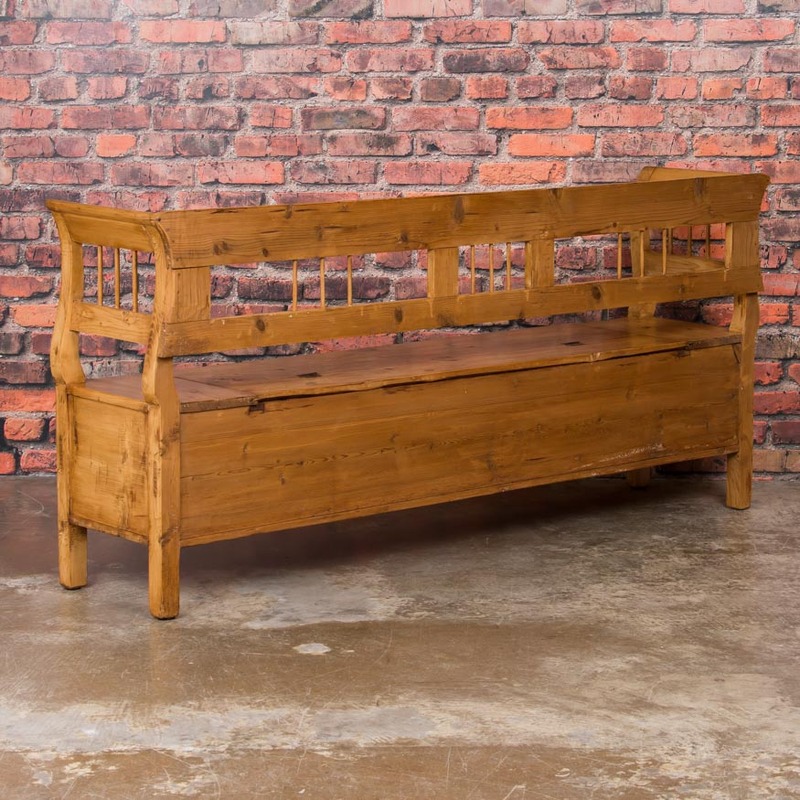 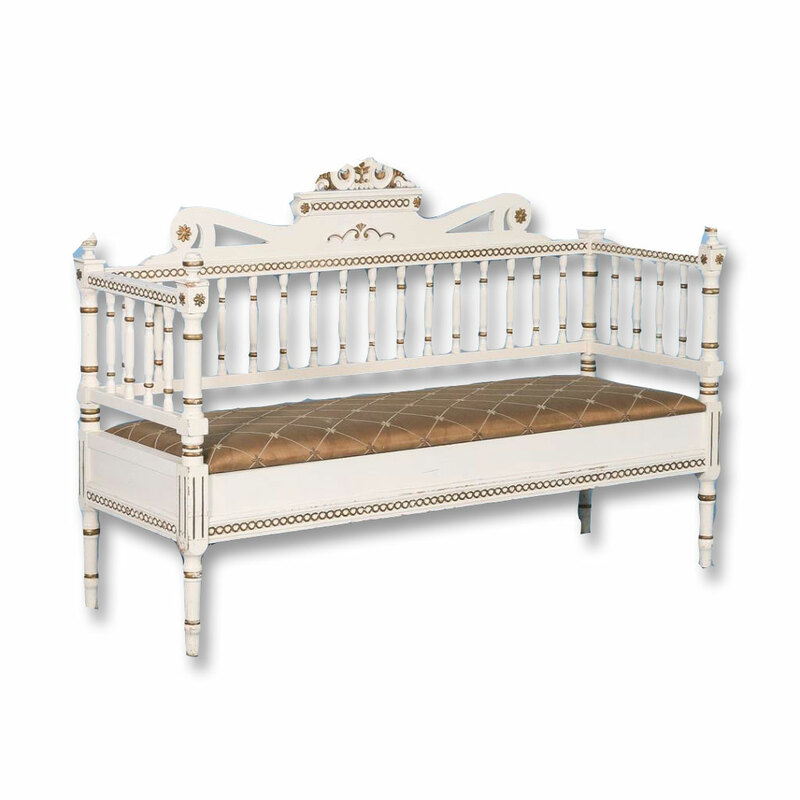 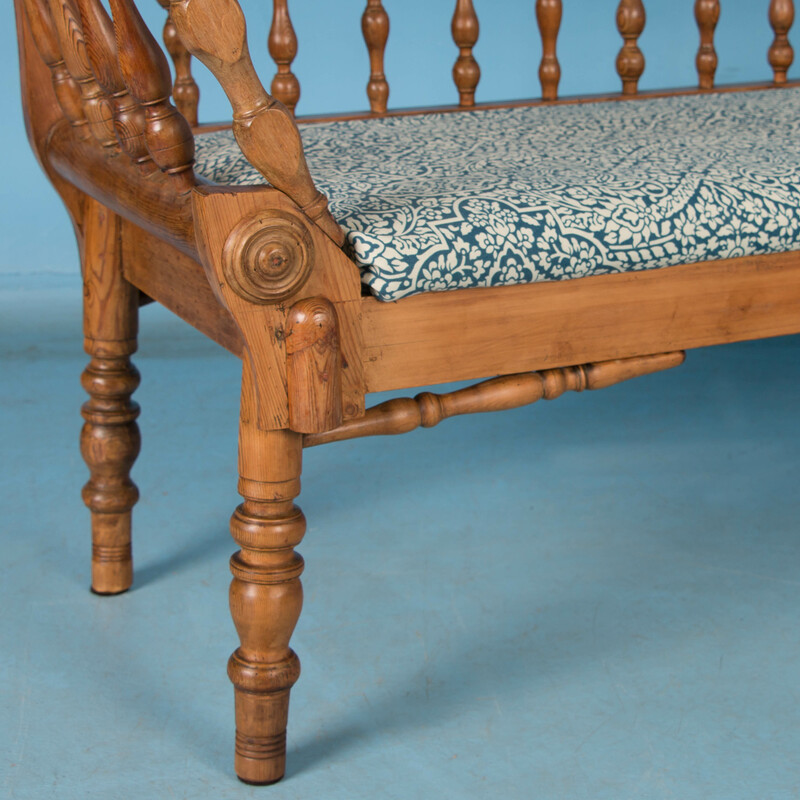 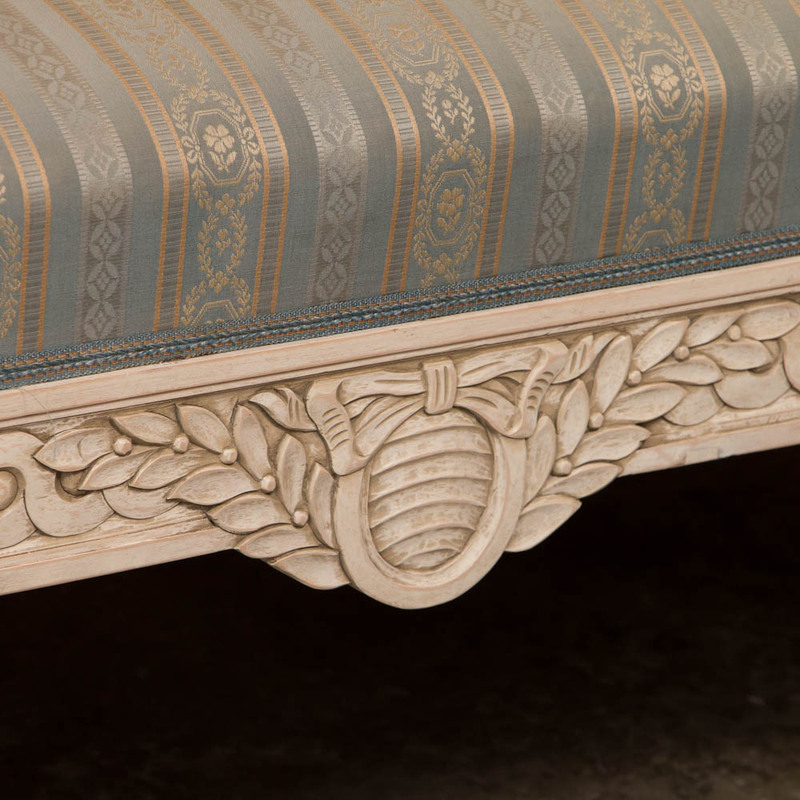 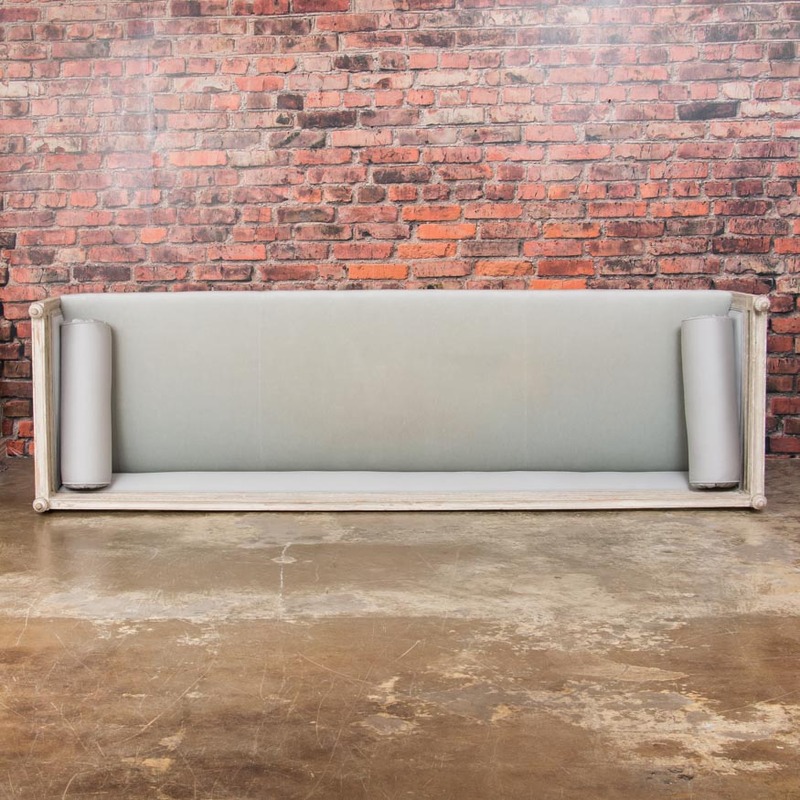 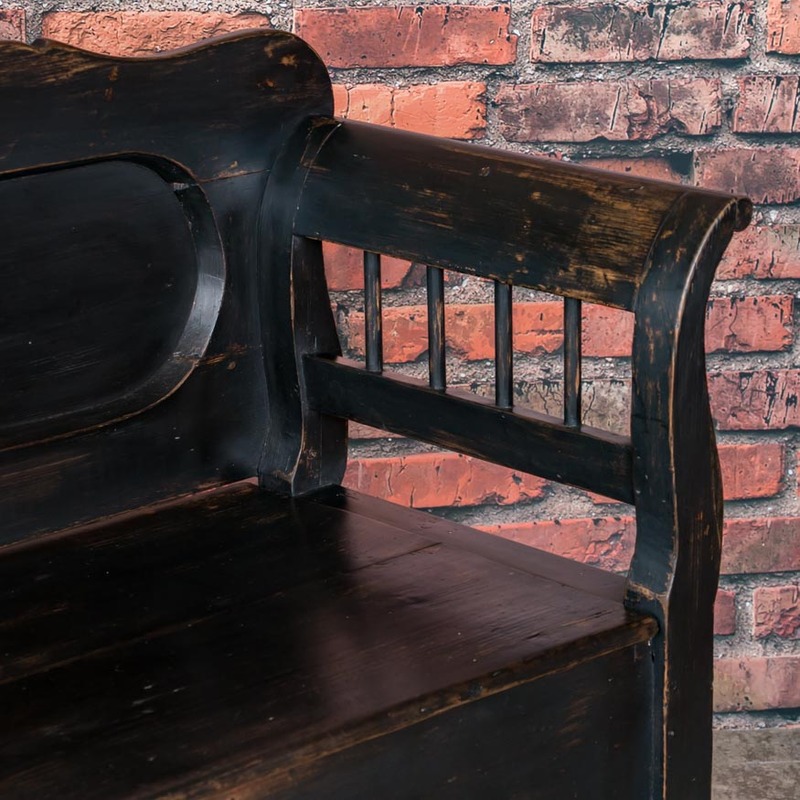 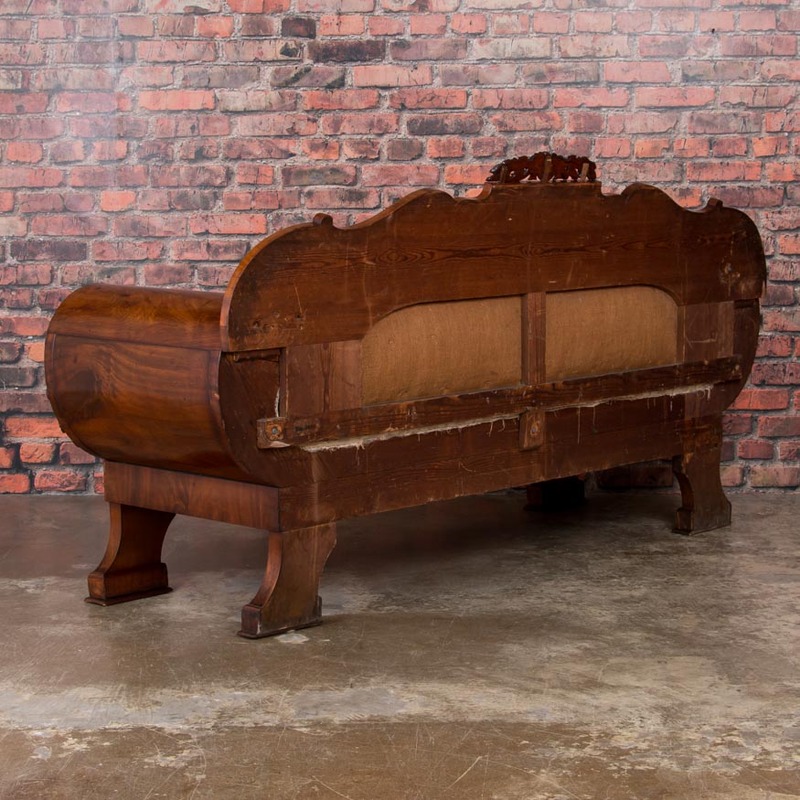 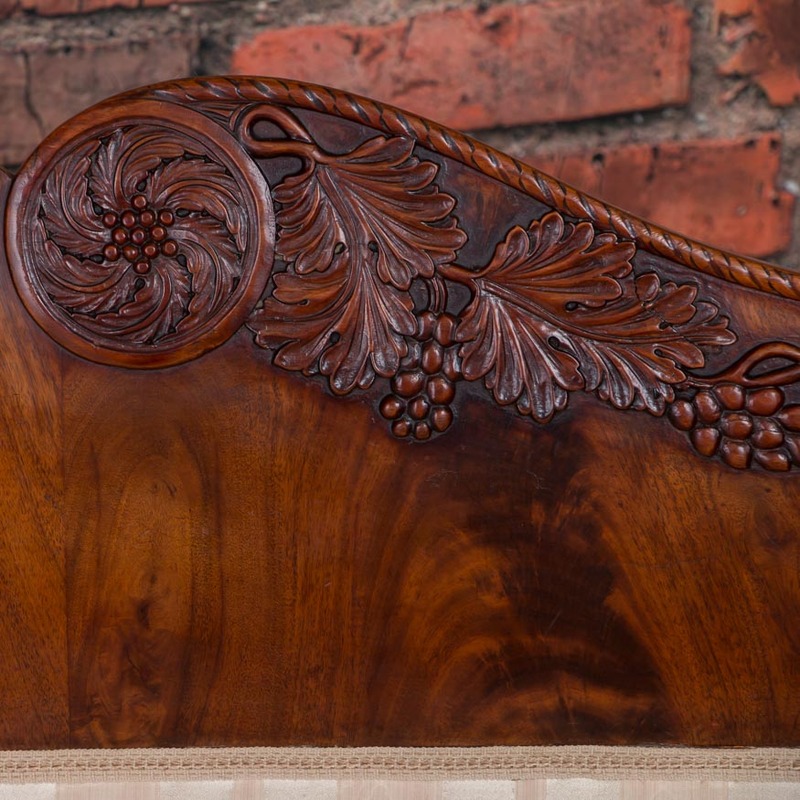 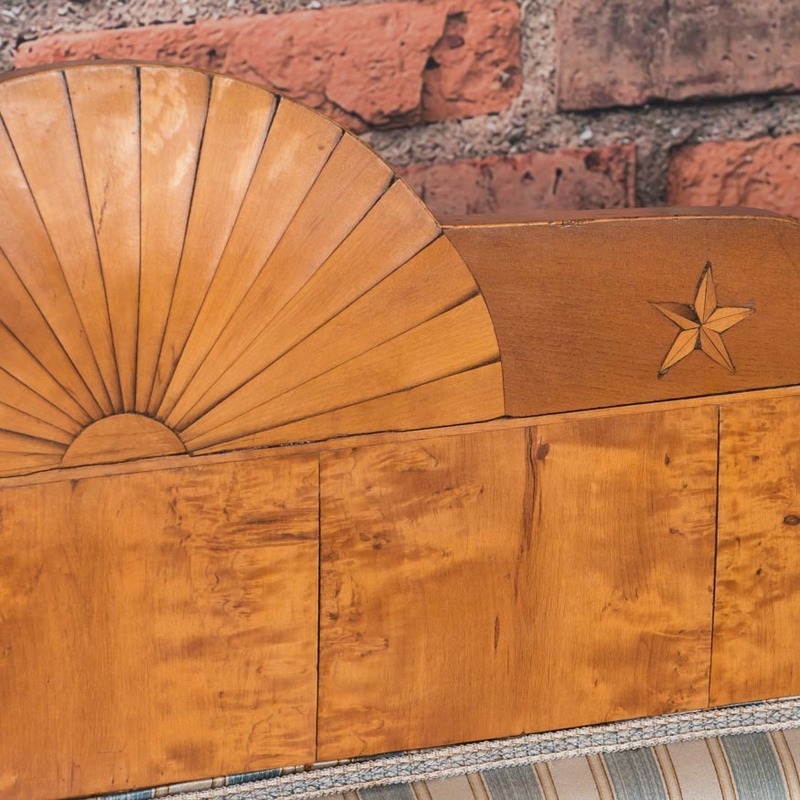 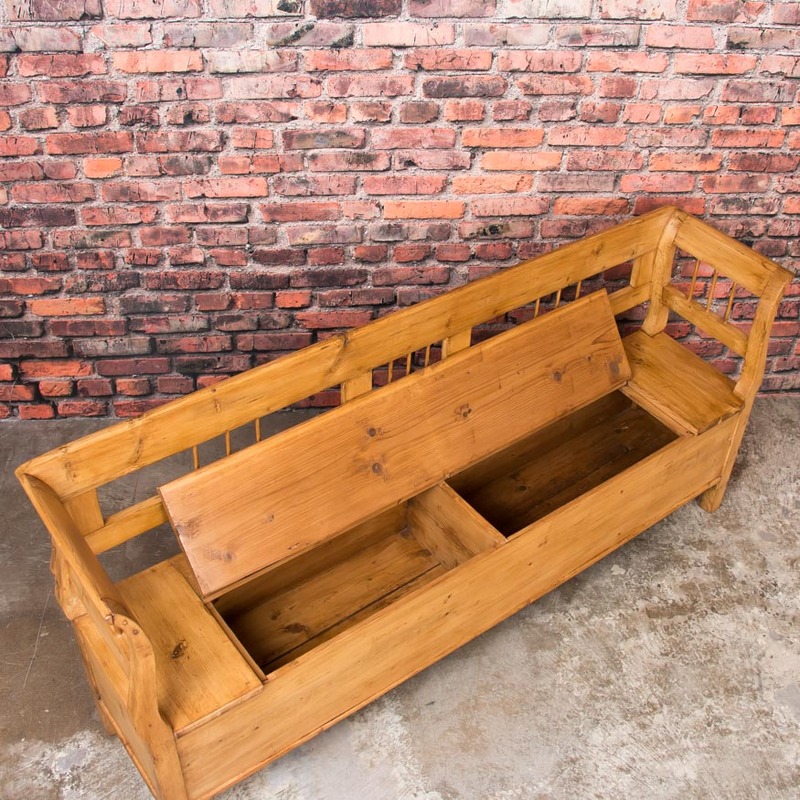 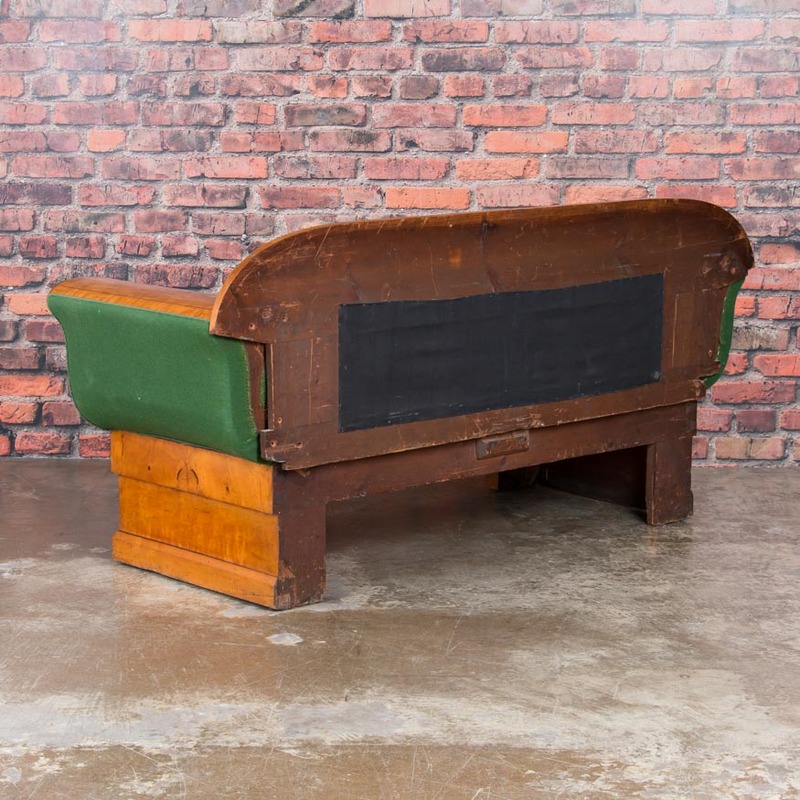 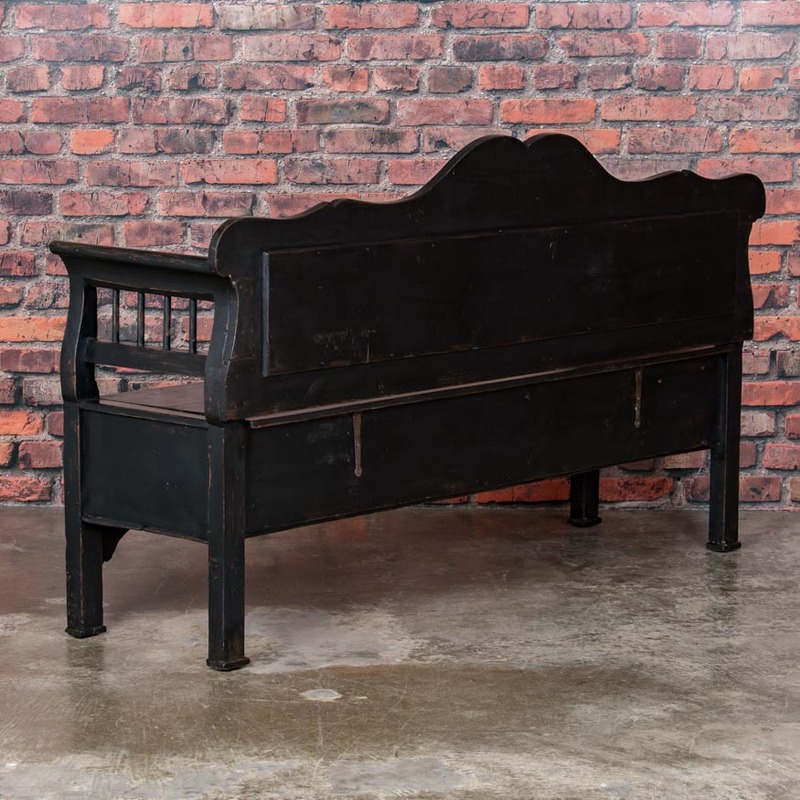 This style of bench originally served as a type of spare bed. 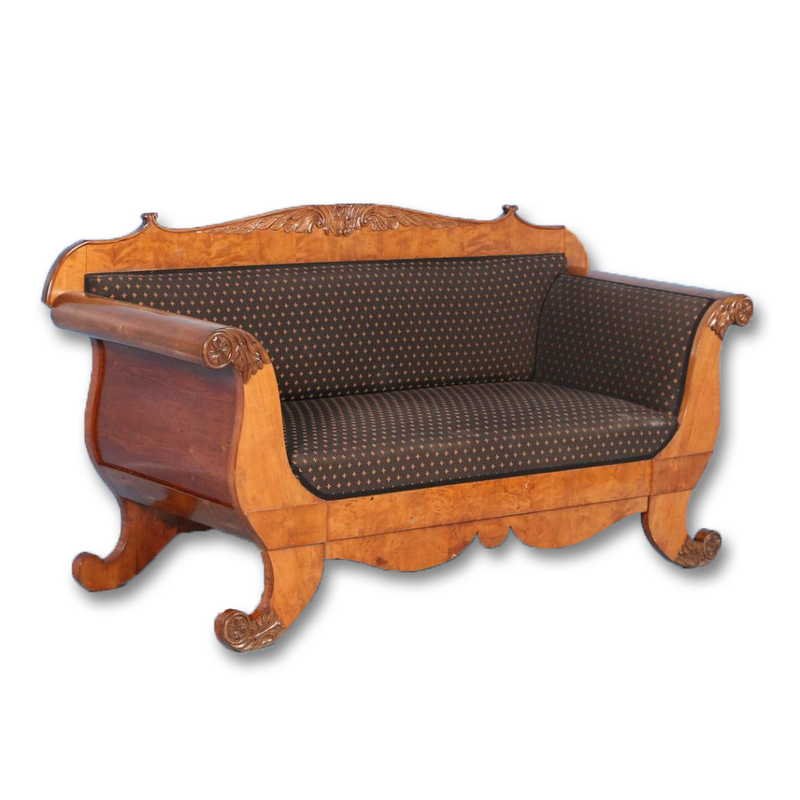 It has been waxed and is clean, strong and ready for use.The upholstery can easily be changed out if desired.